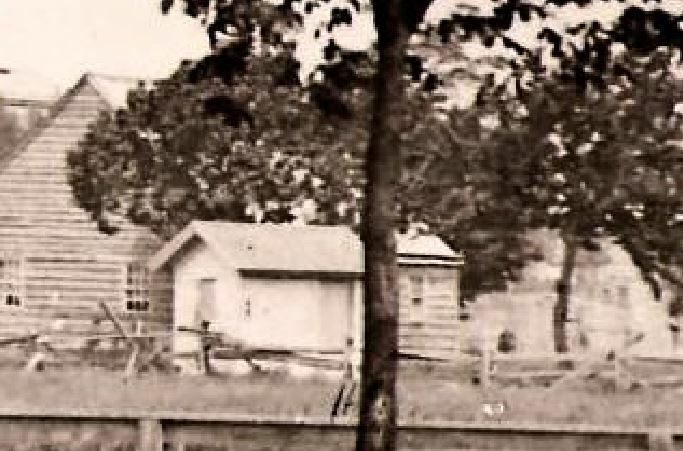 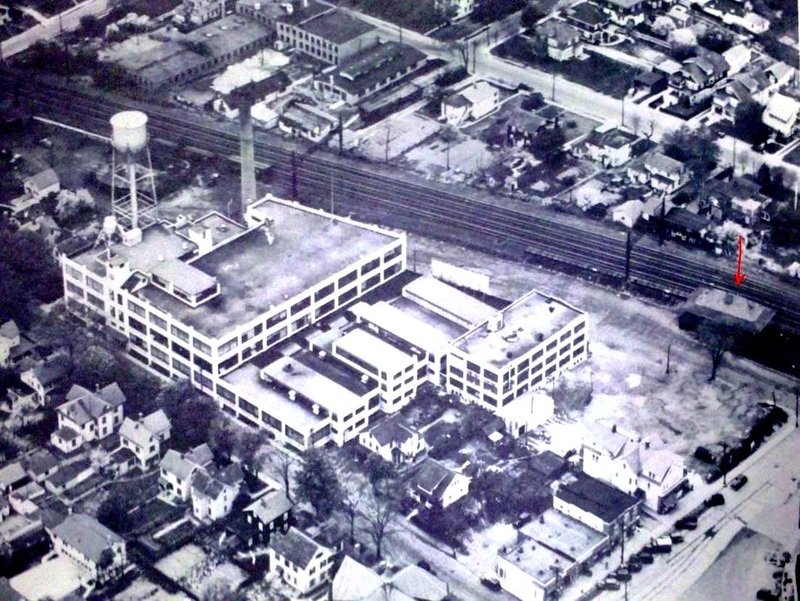 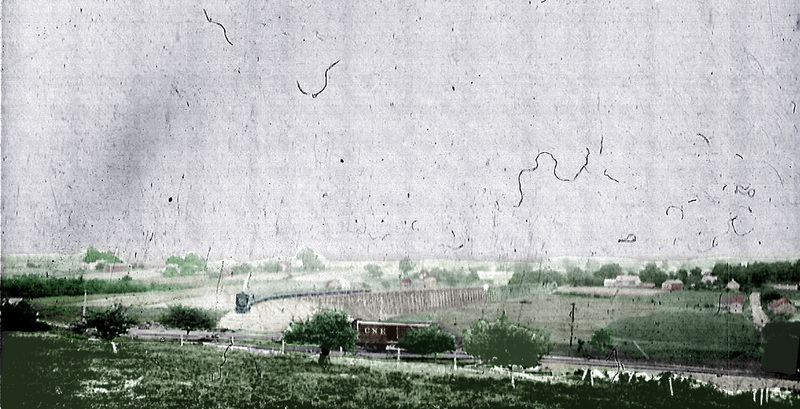 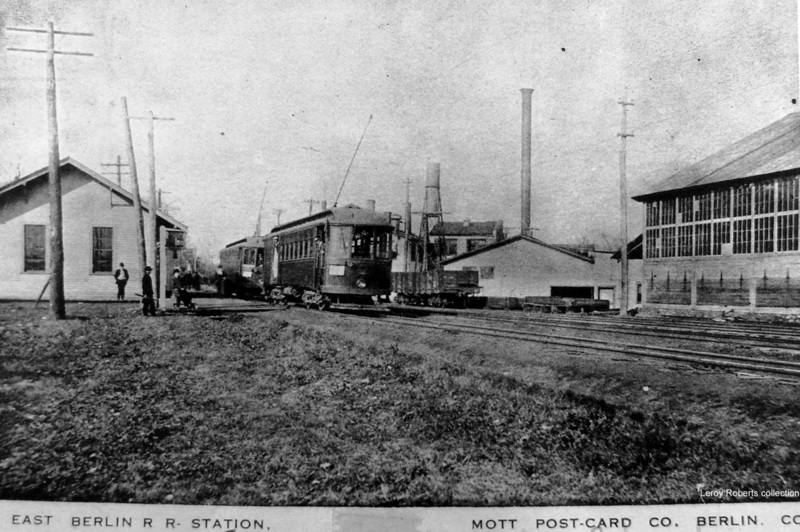 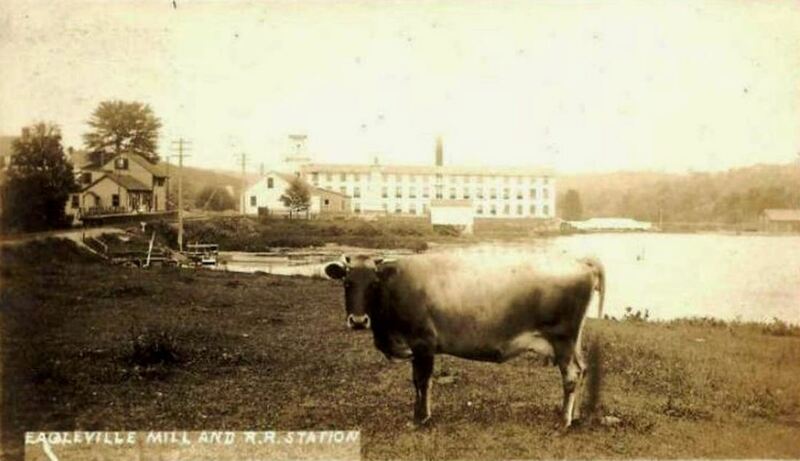 The photo at left looks toward the west with the Hat Corporation building in the background. 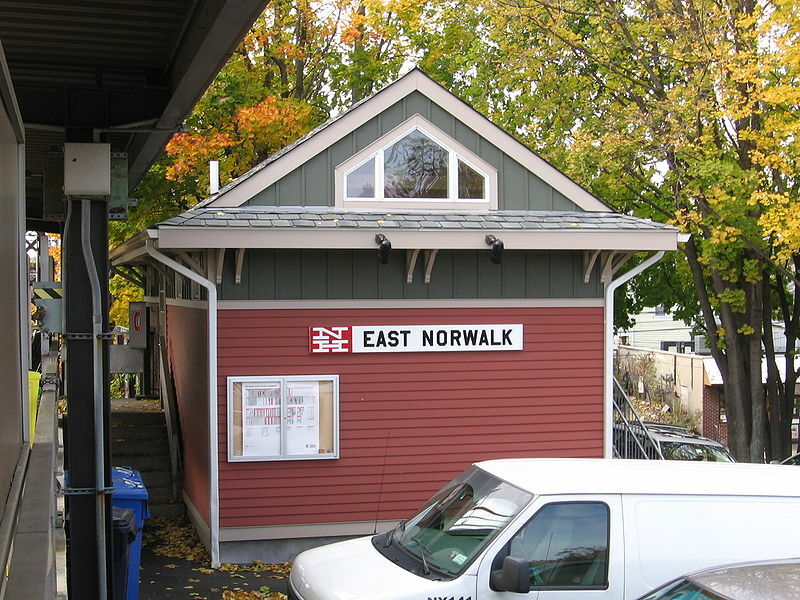 The middle photo looks east at this new station that replaced EAST NORWALK2. 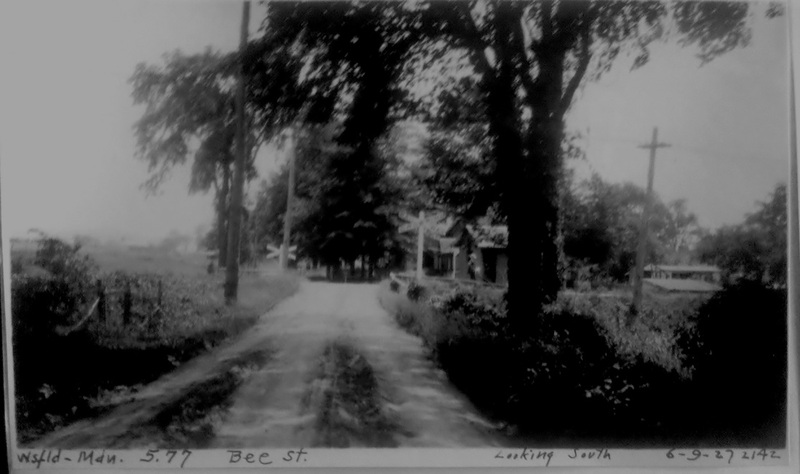 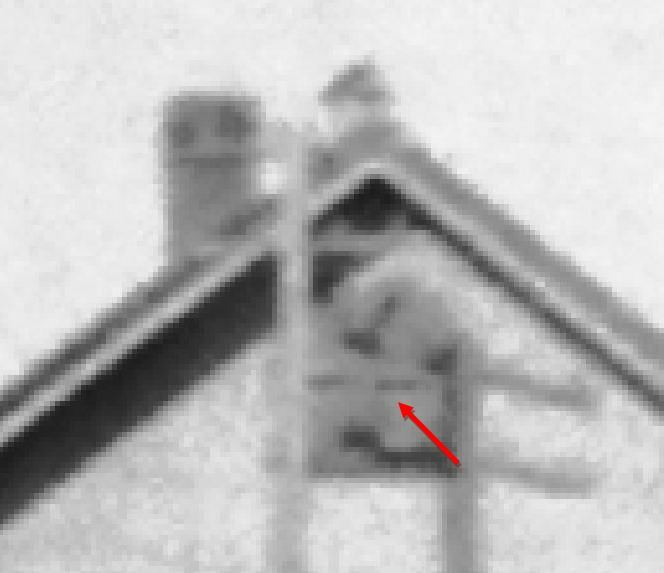 The shot at right is a Charlie Gunn photo, taken on 6/3/1955. 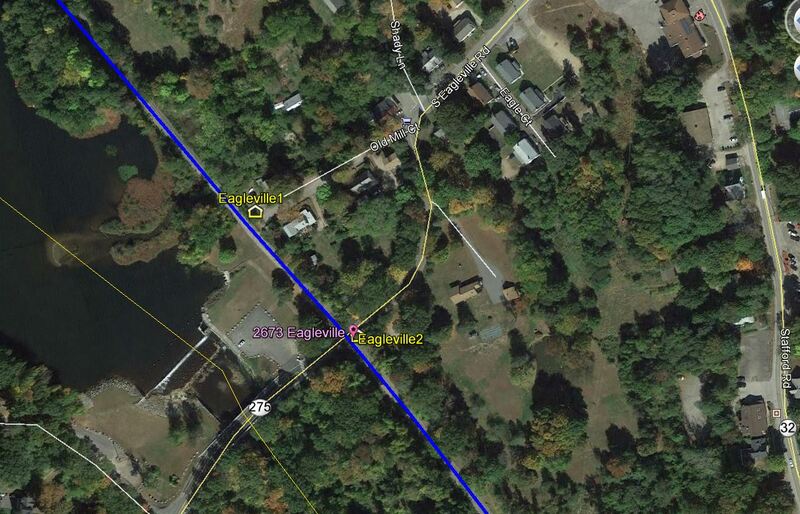 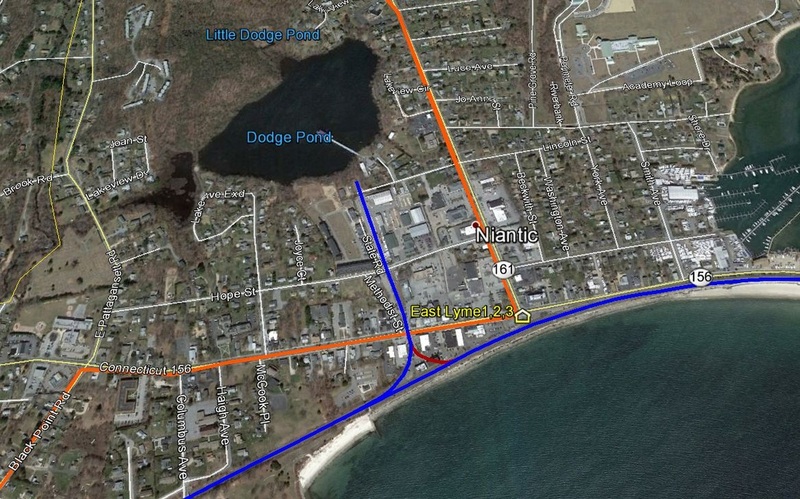 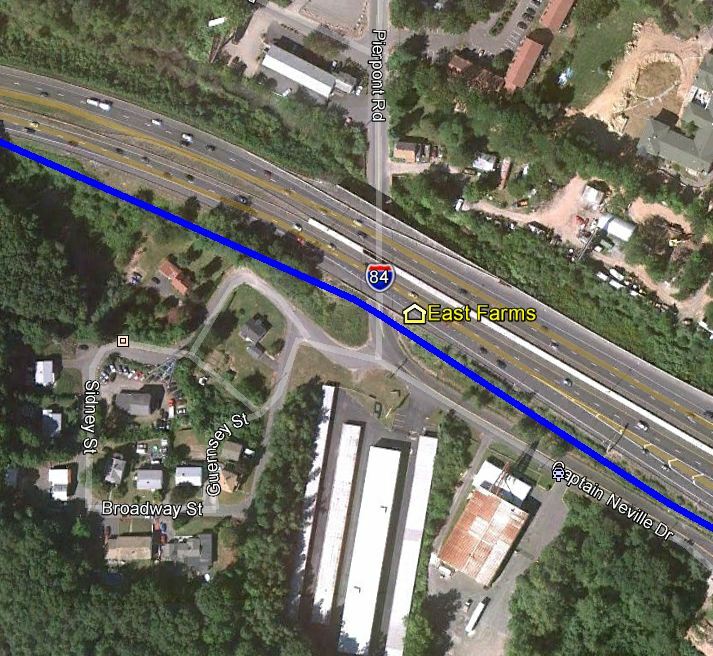 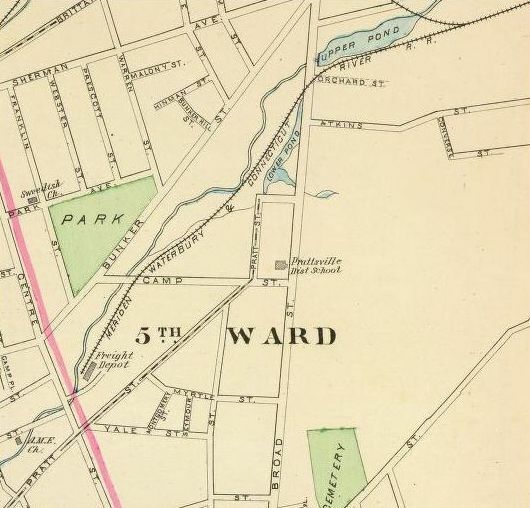 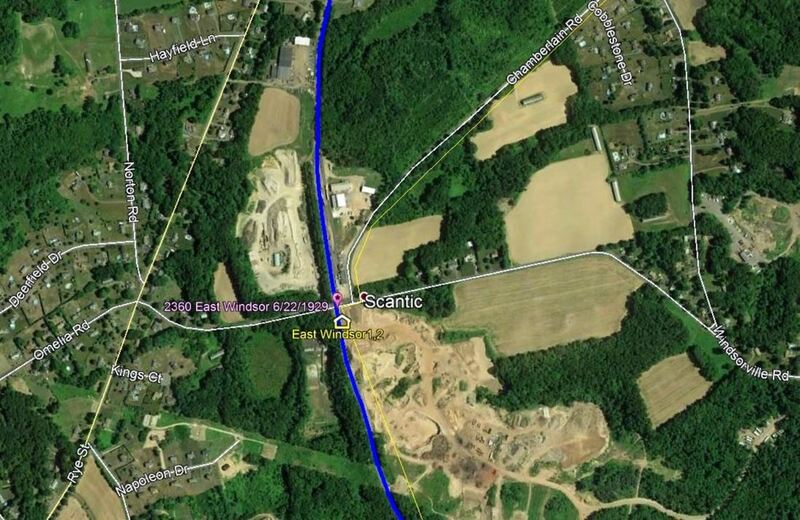 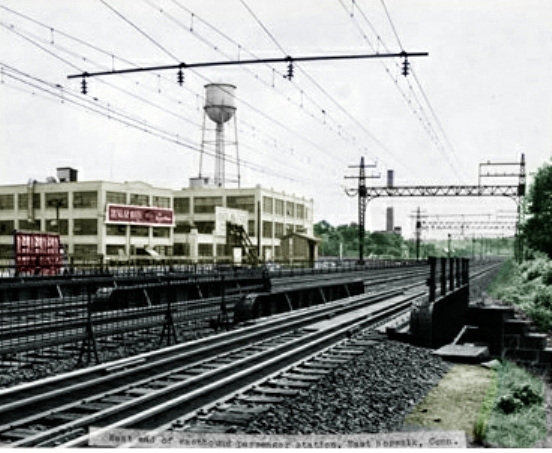 It also looks east and across the tracks to EAST NORWALK3 just past the East Ave. bridge. 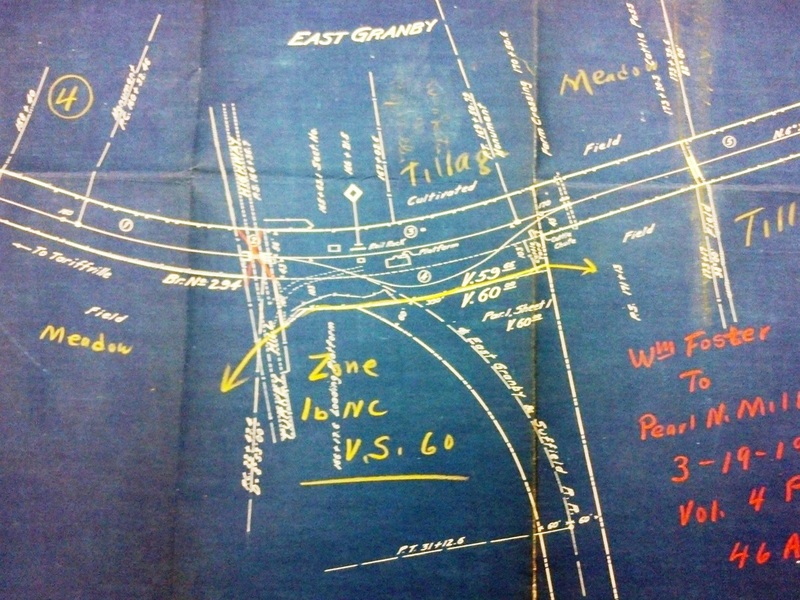 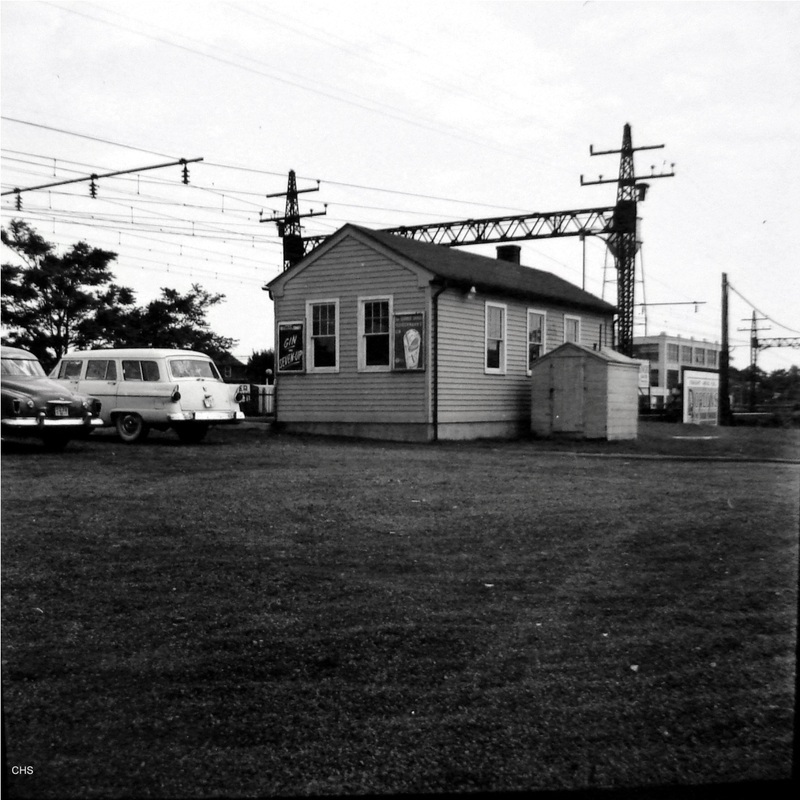 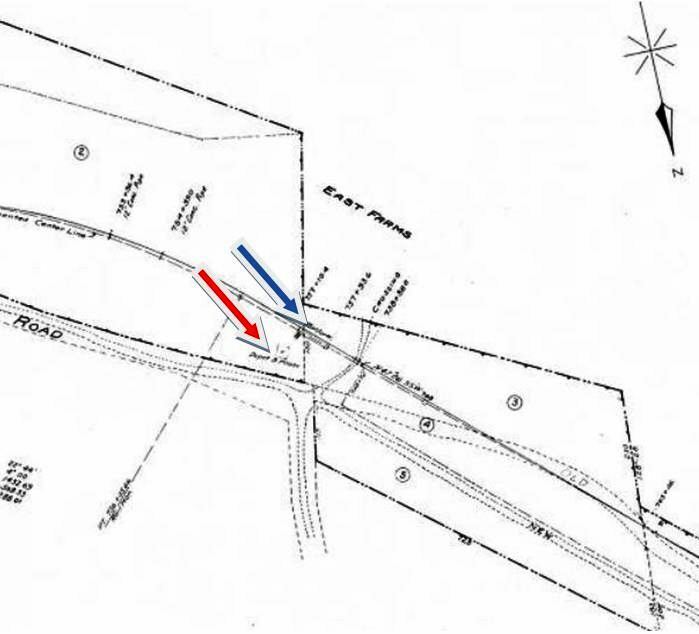 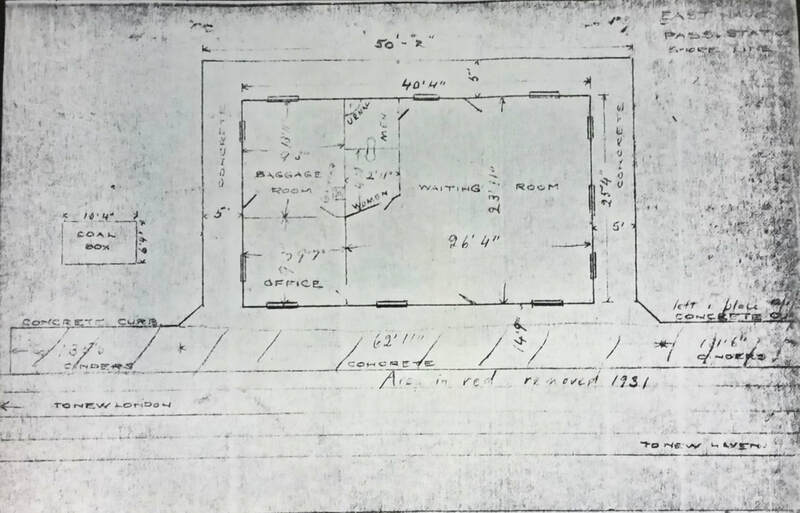 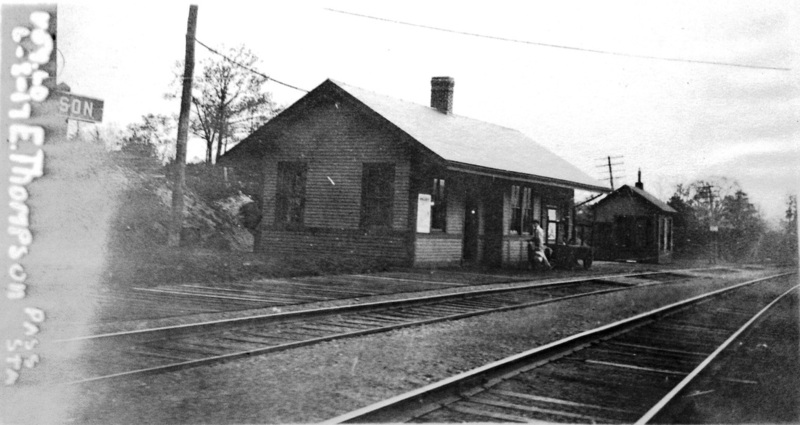 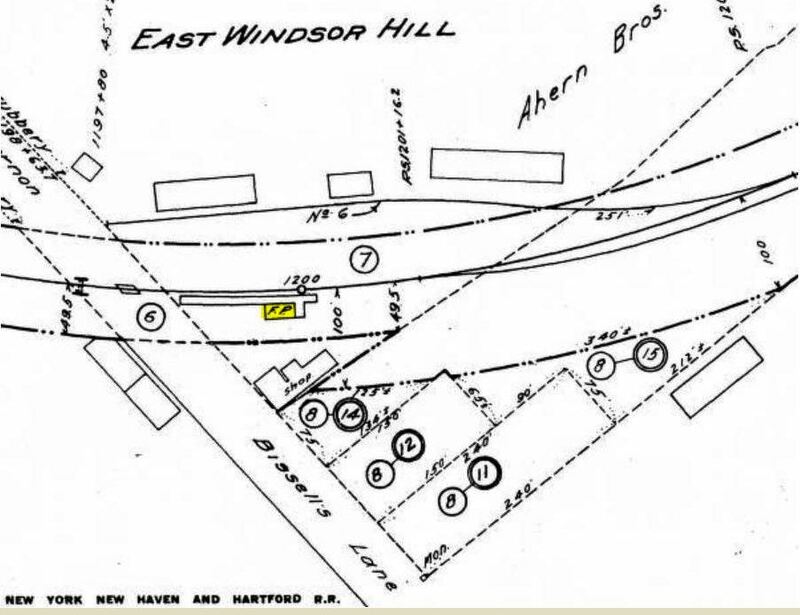 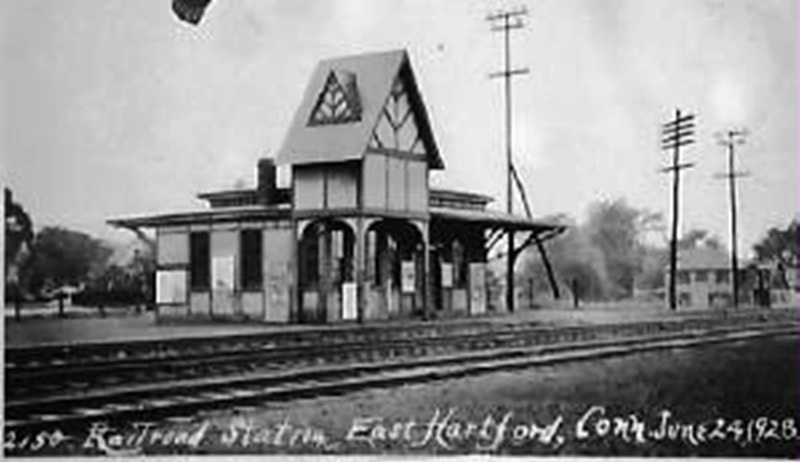 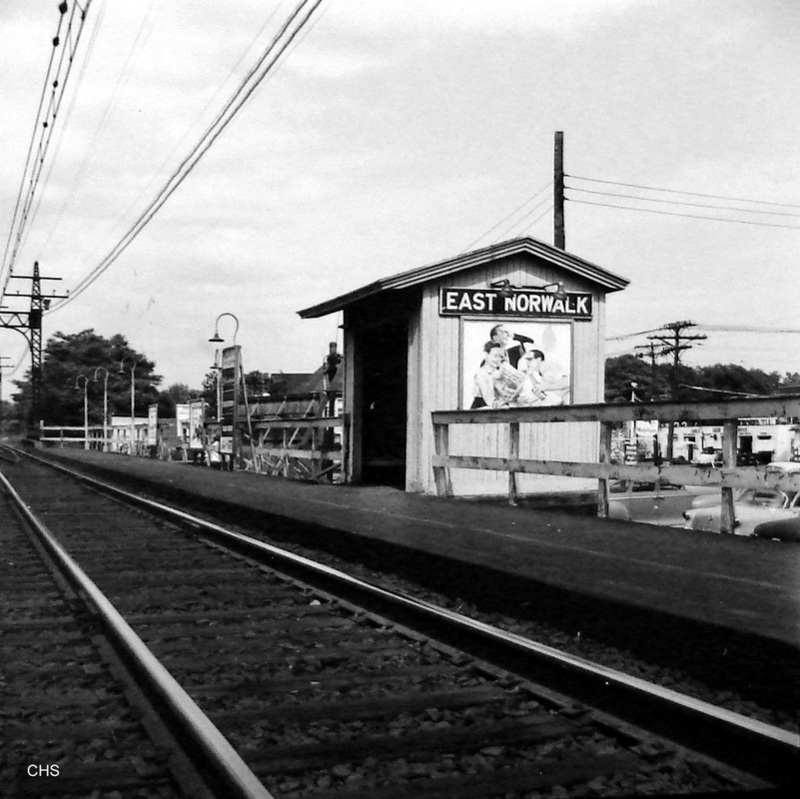 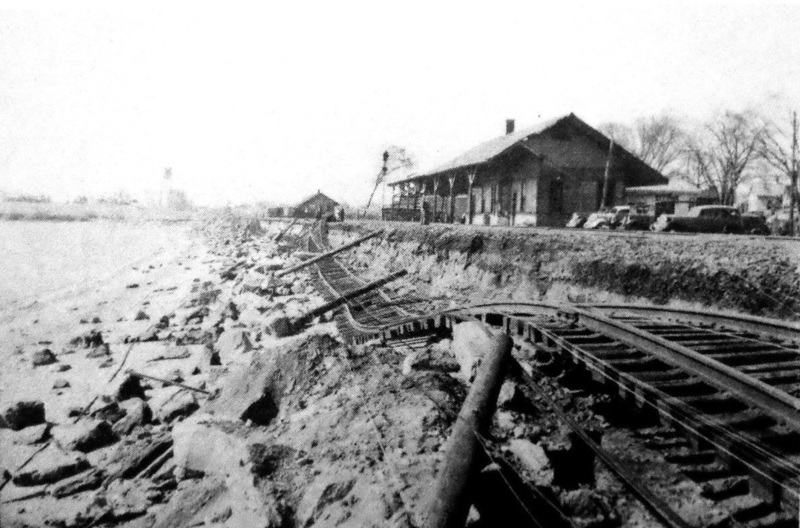 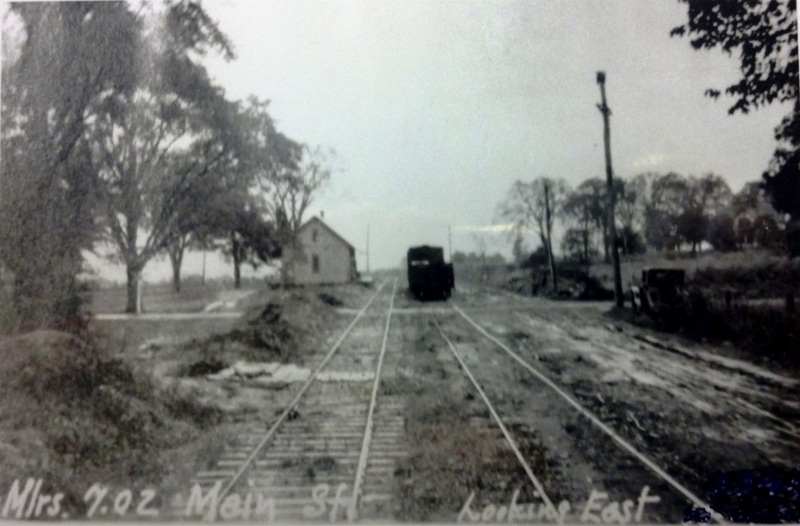 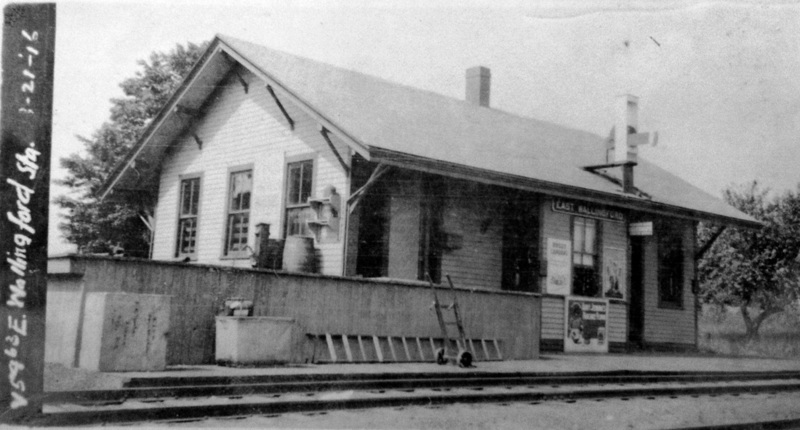 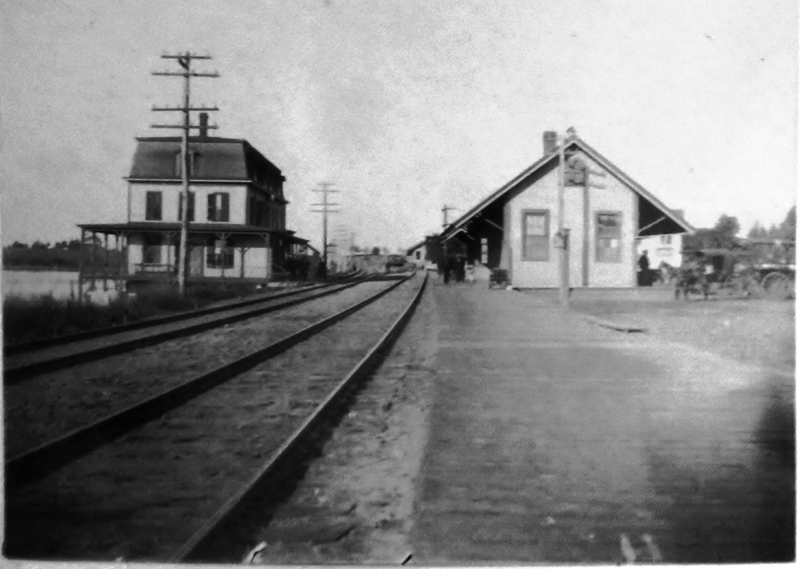 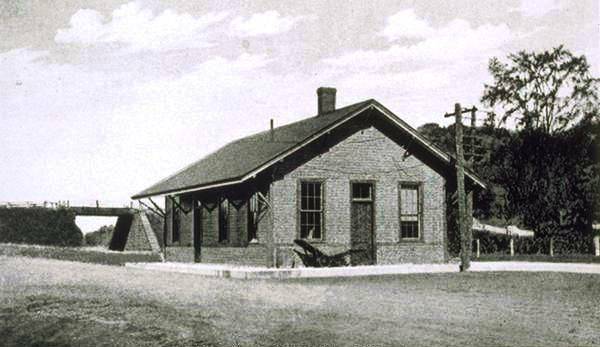 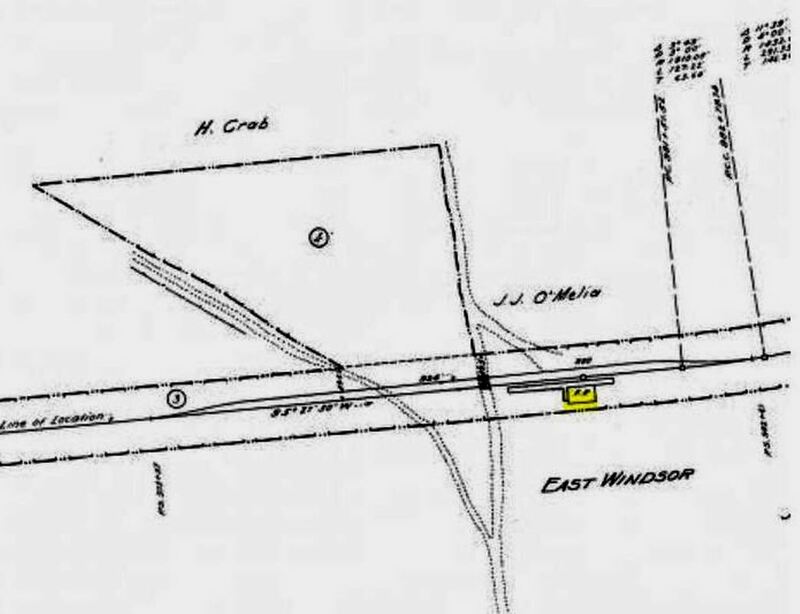 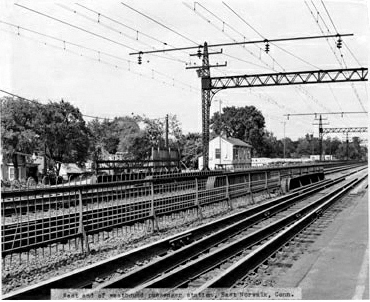 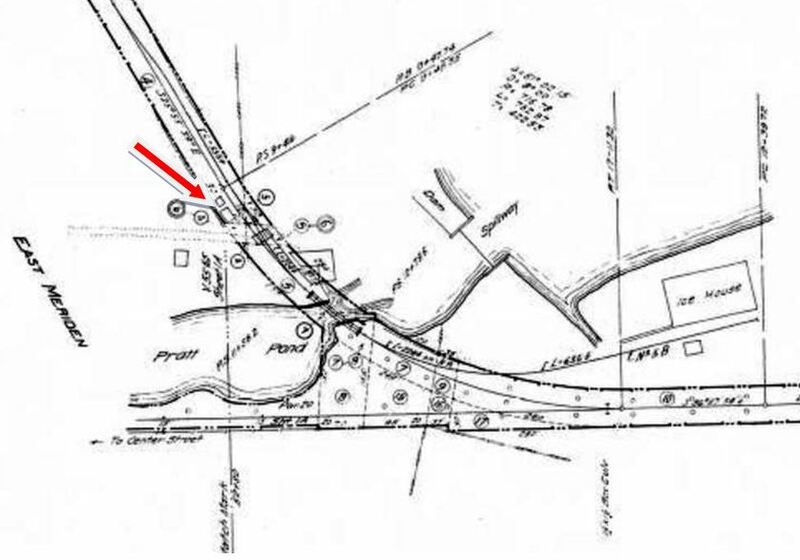 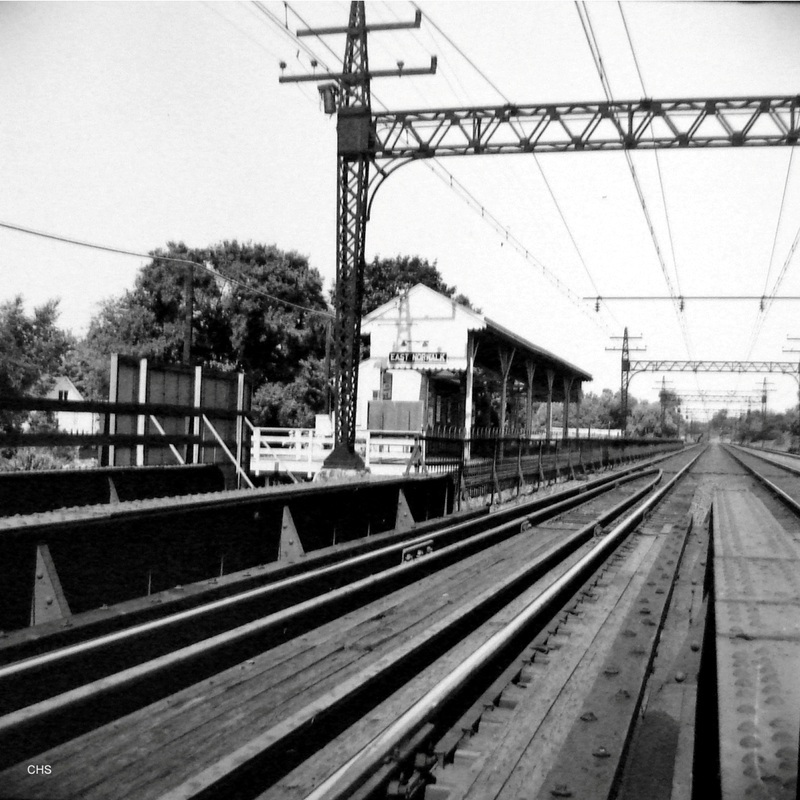 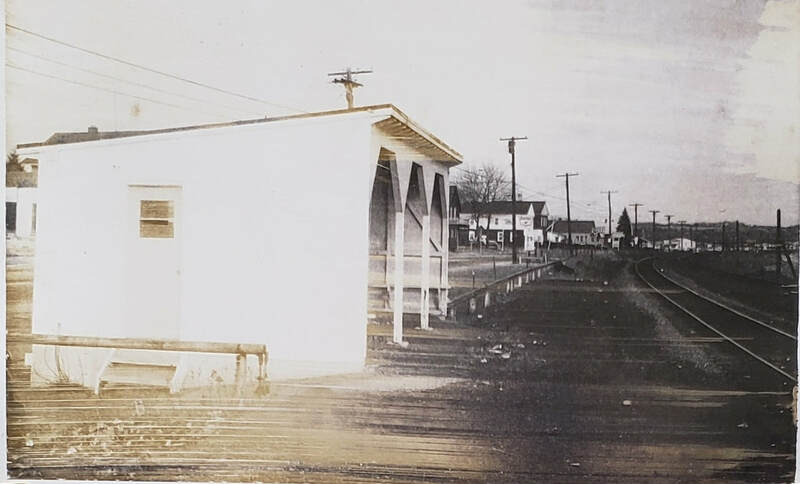 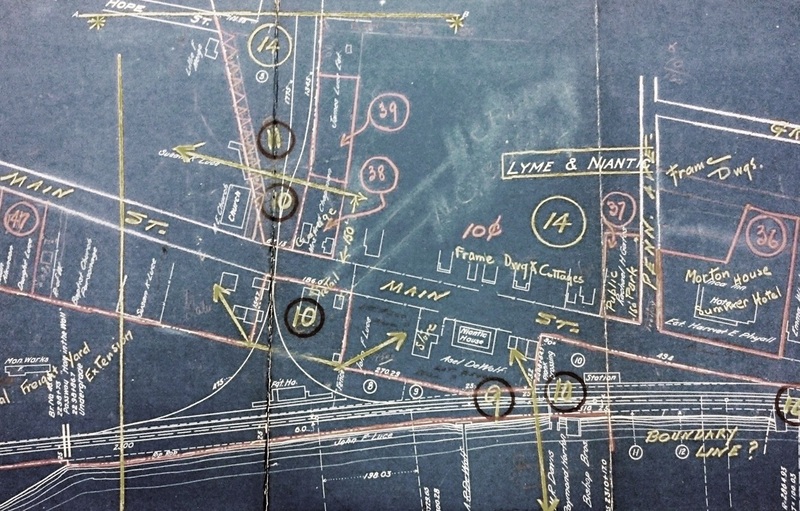 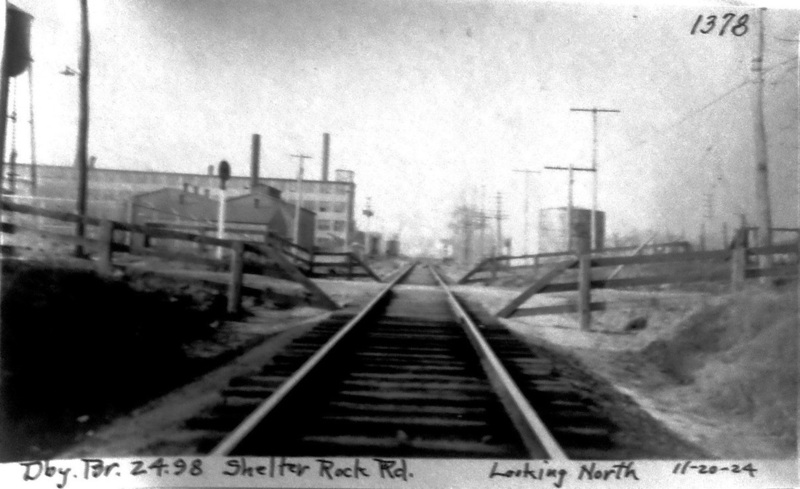 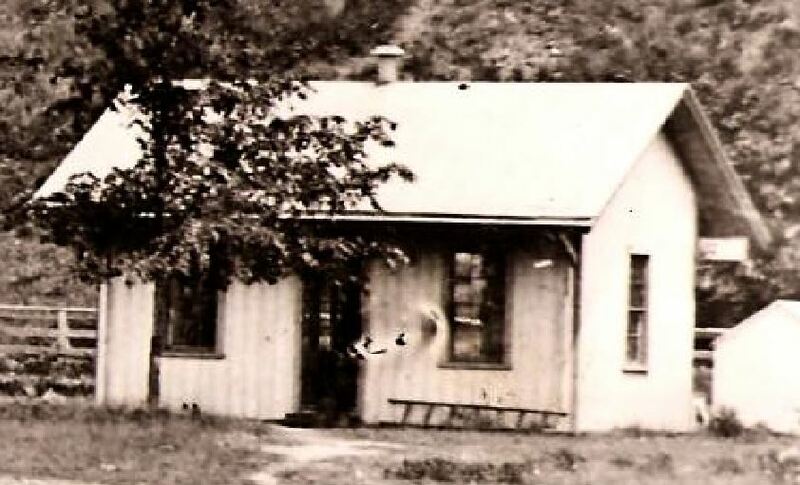 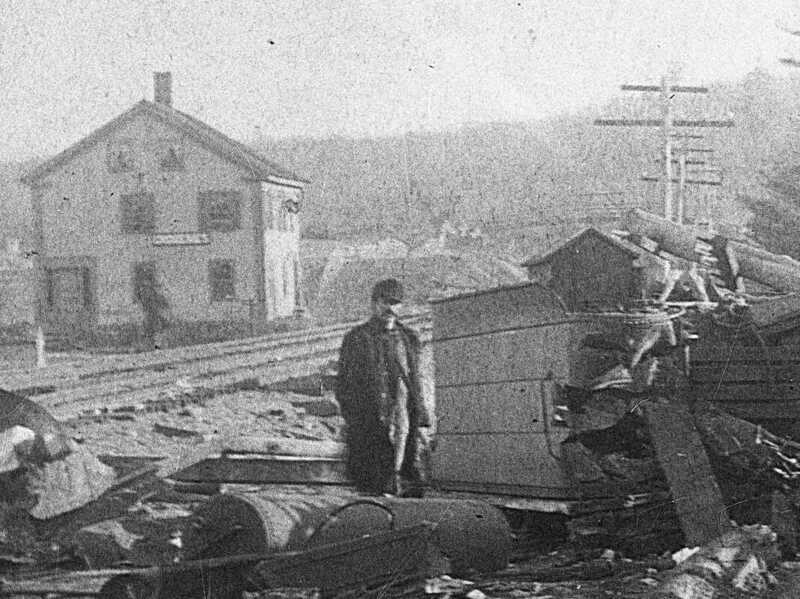 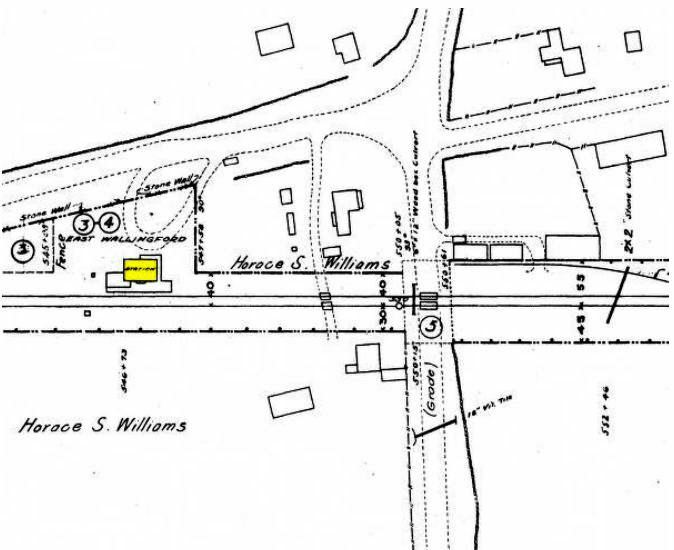 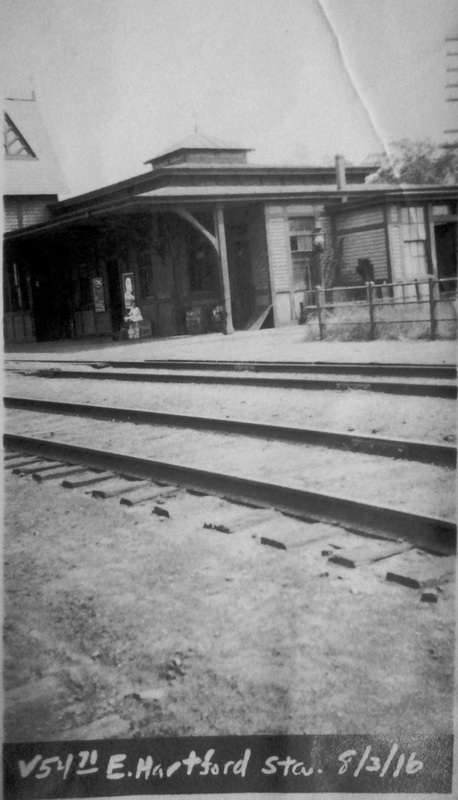 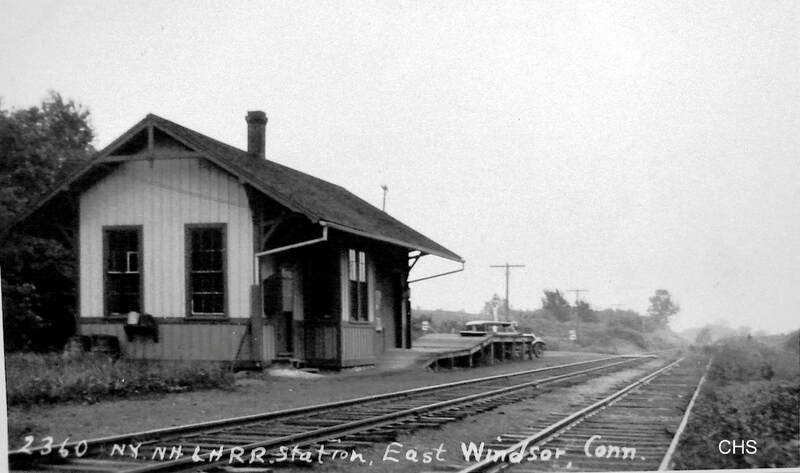 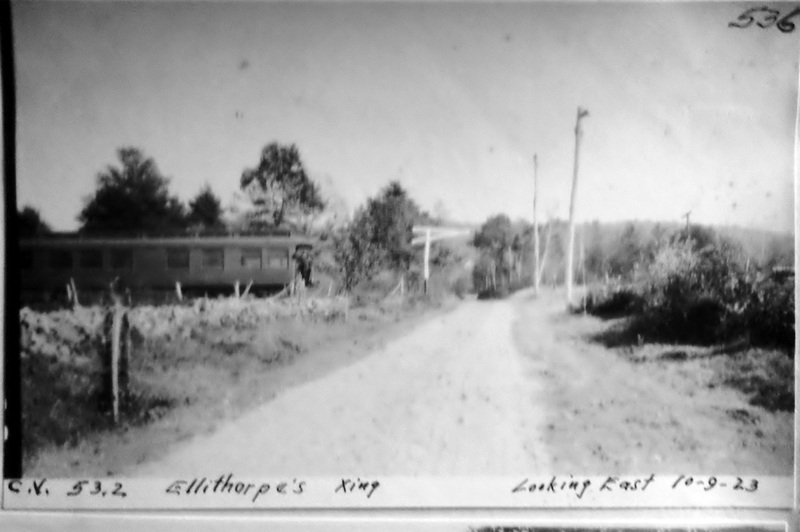 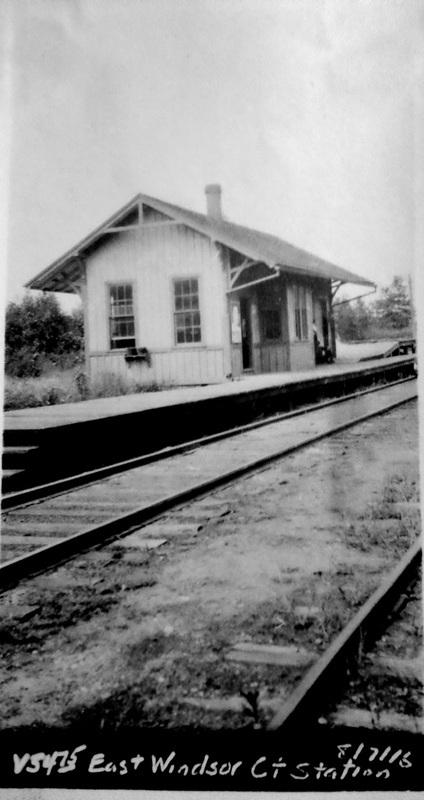 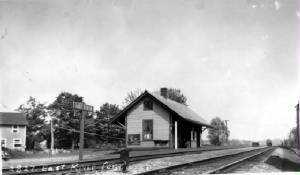 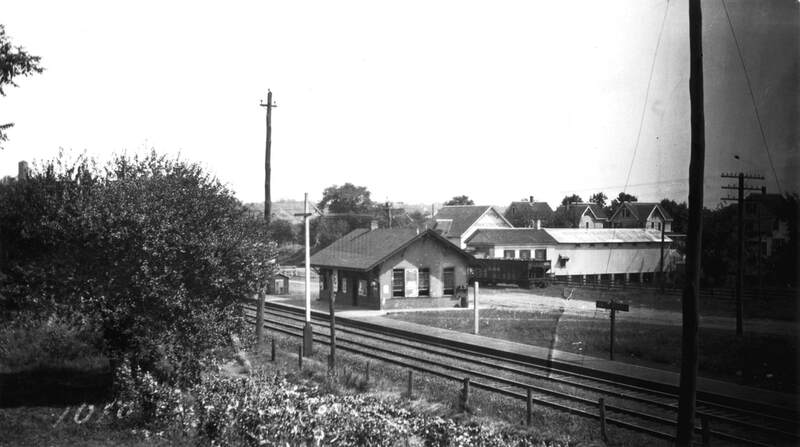 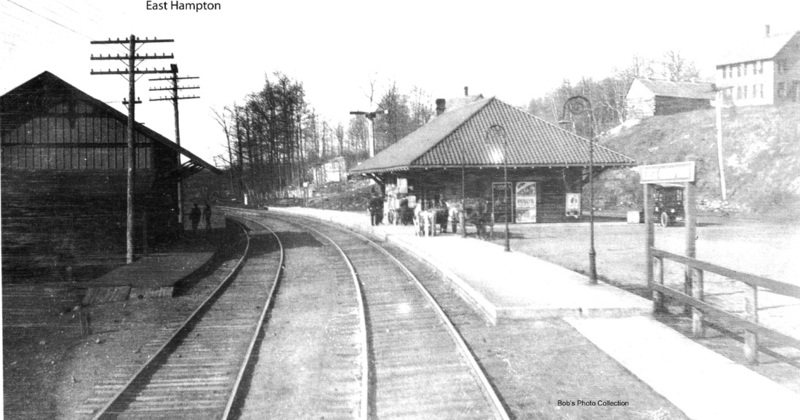 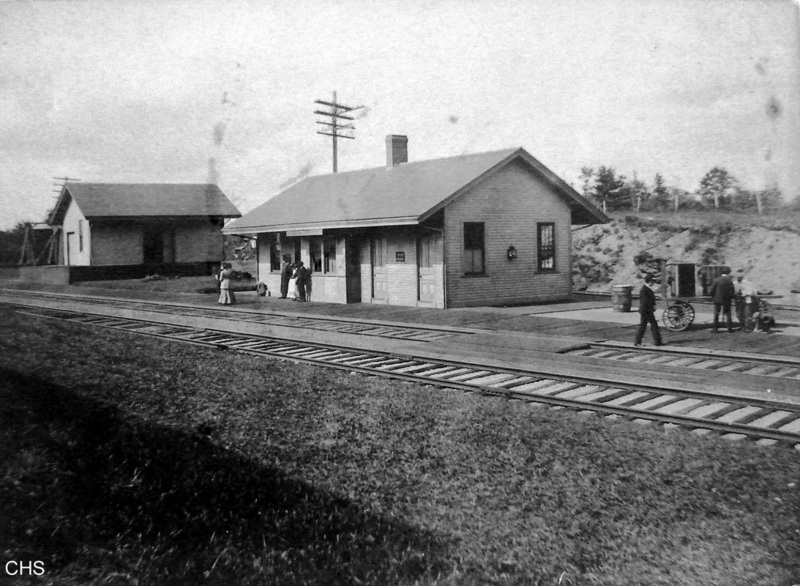 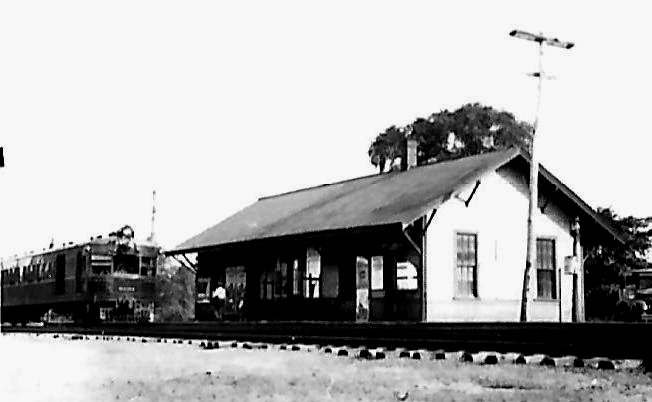 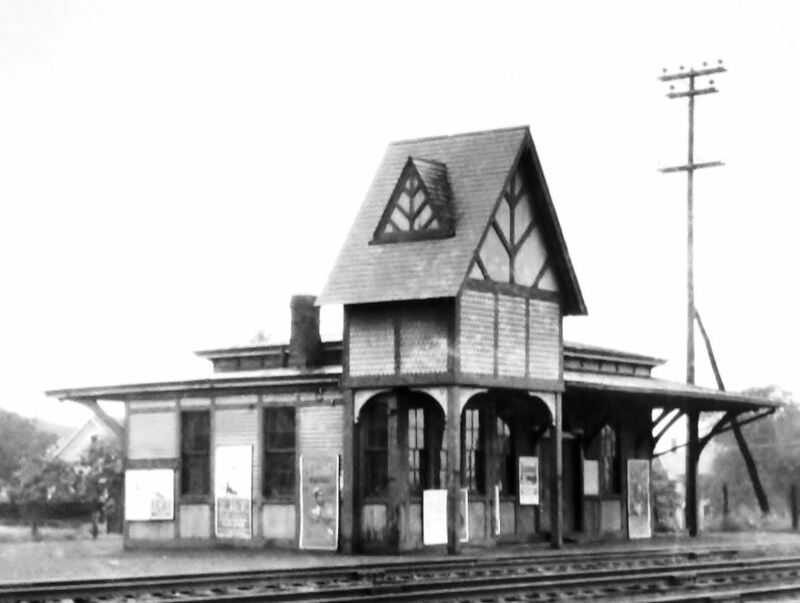 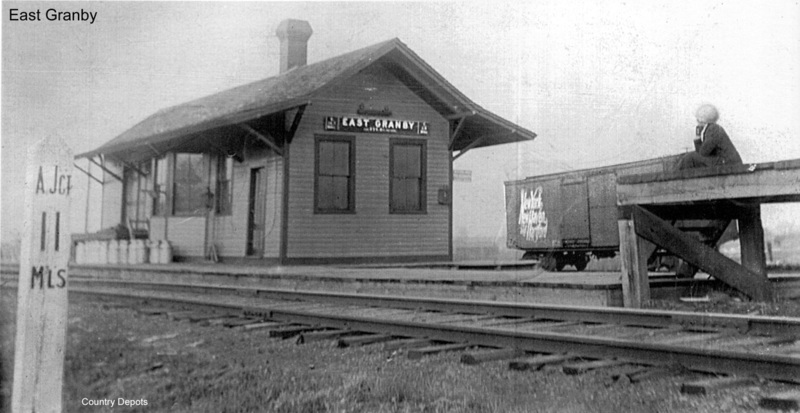 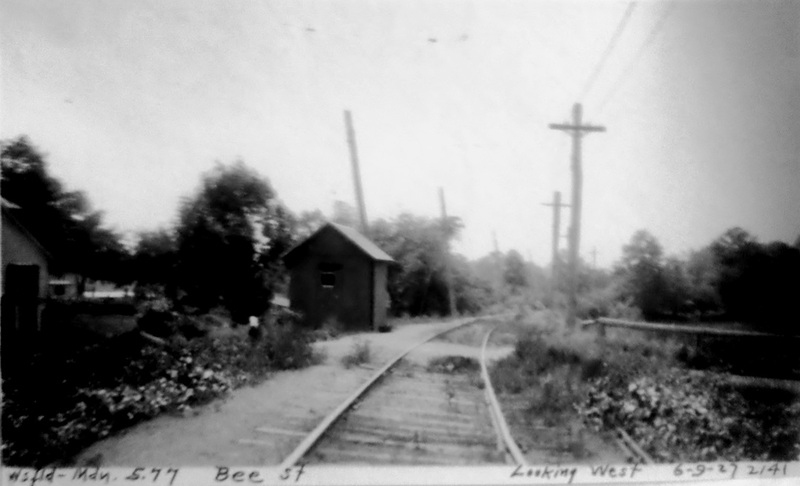 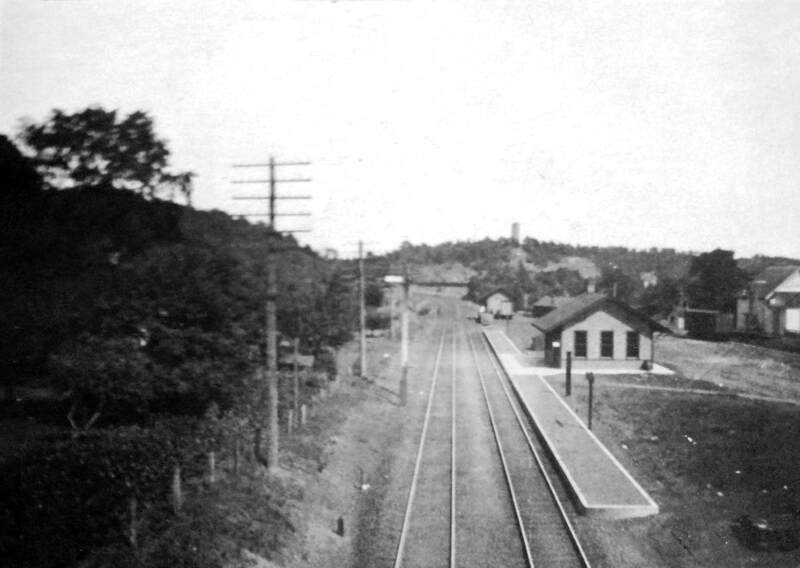 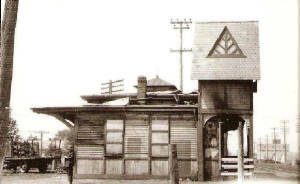 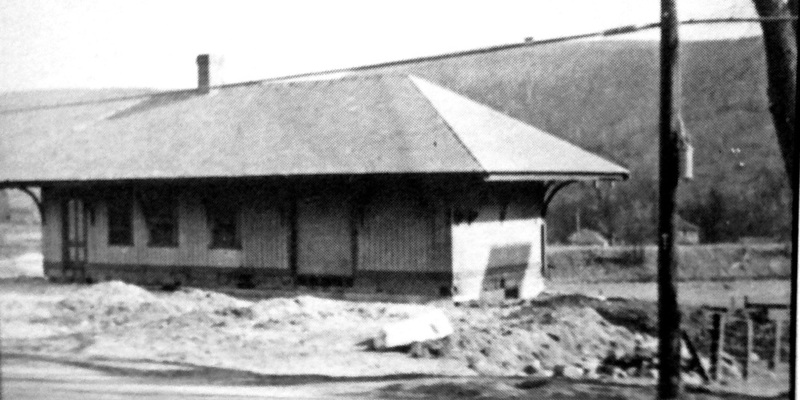 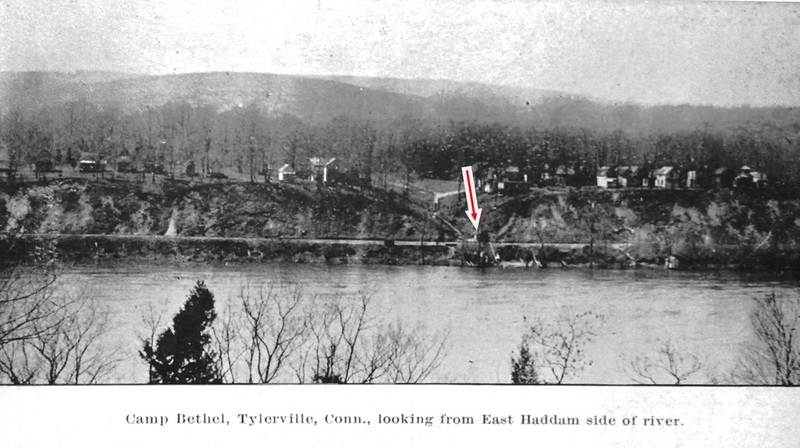 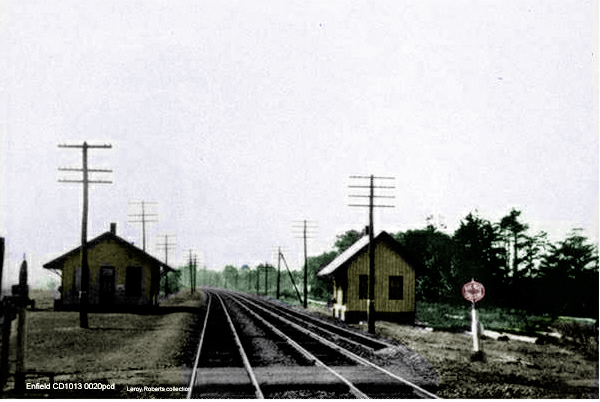 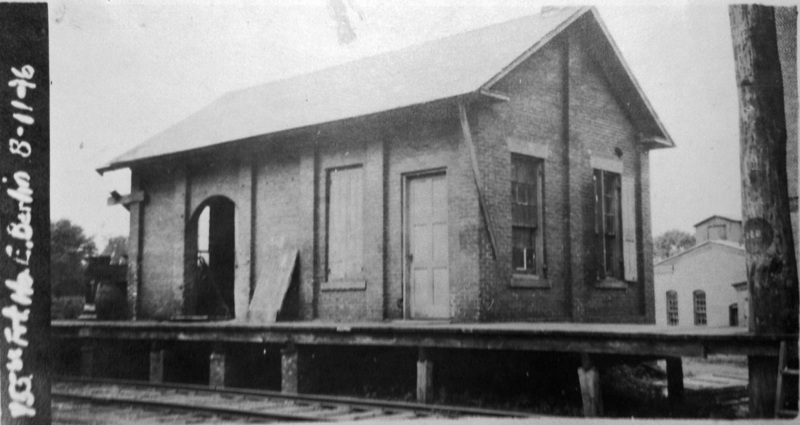 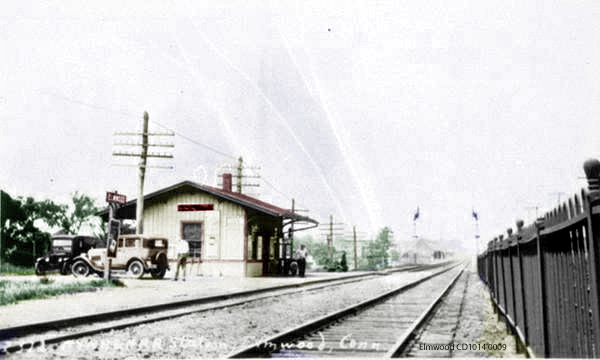 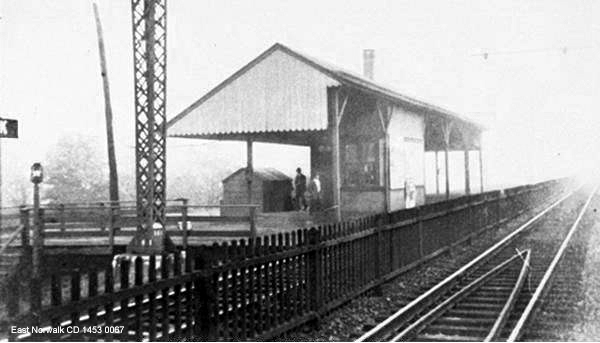 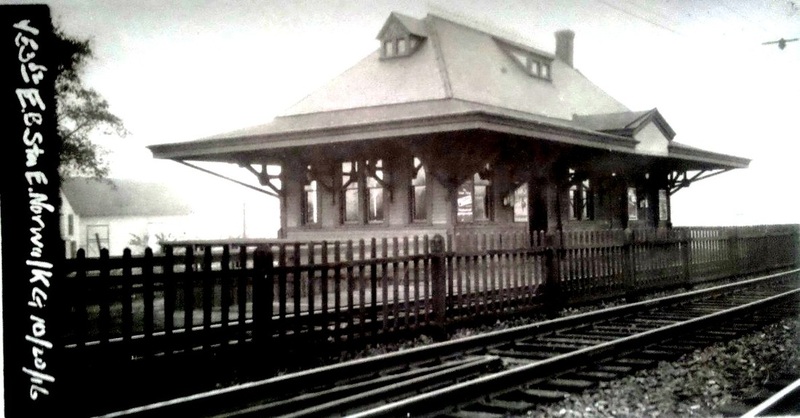 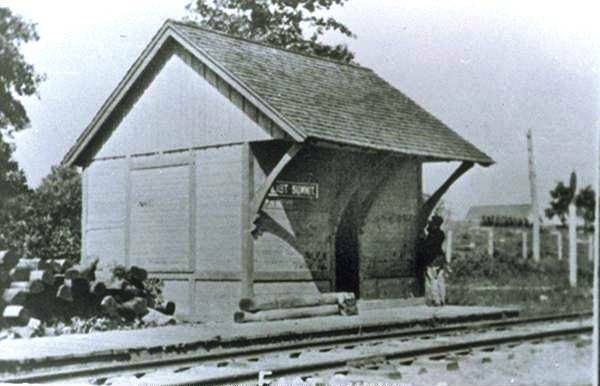 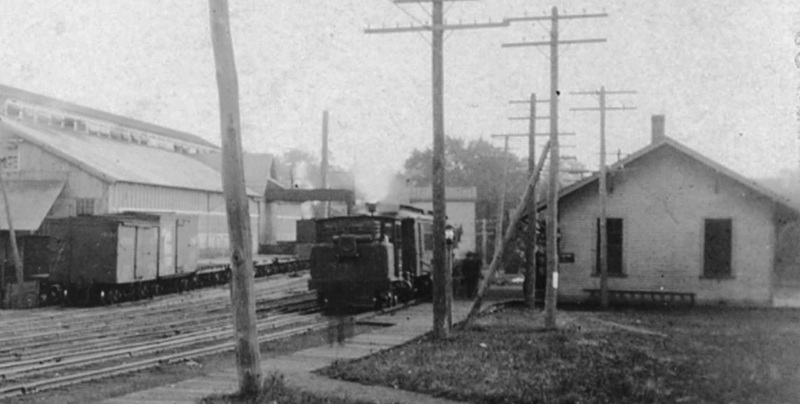 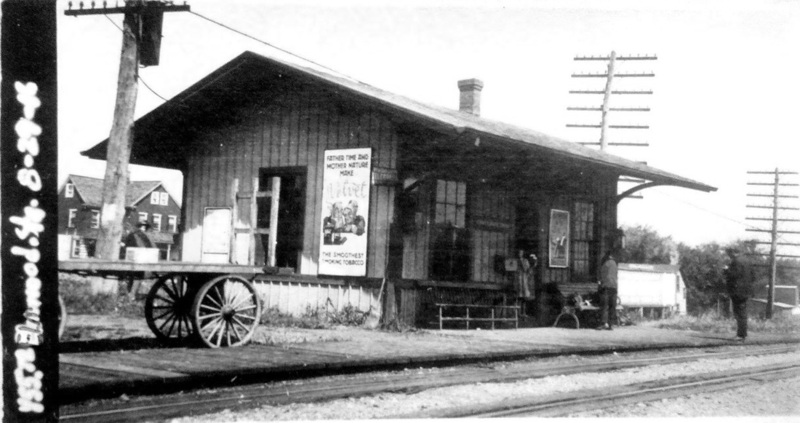 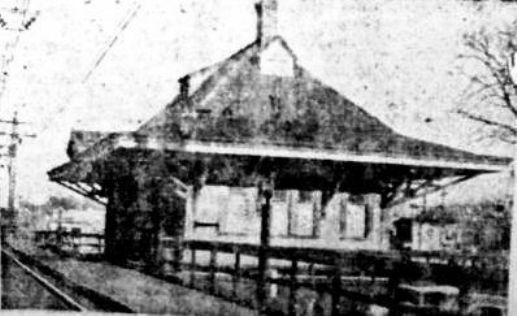 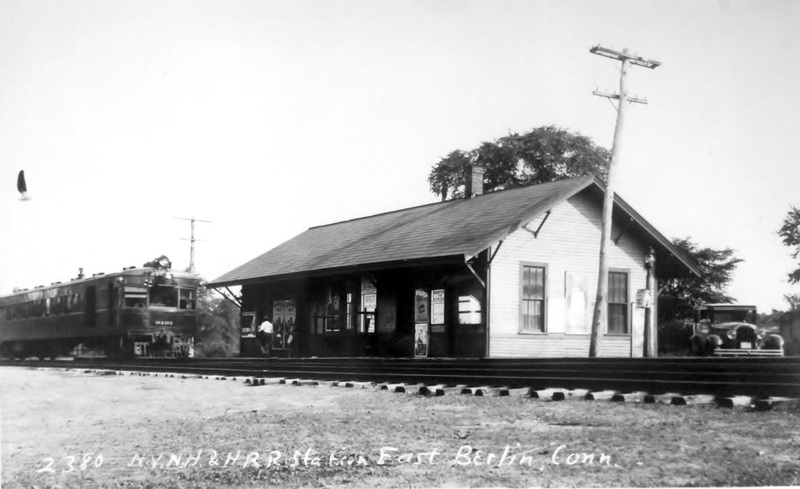 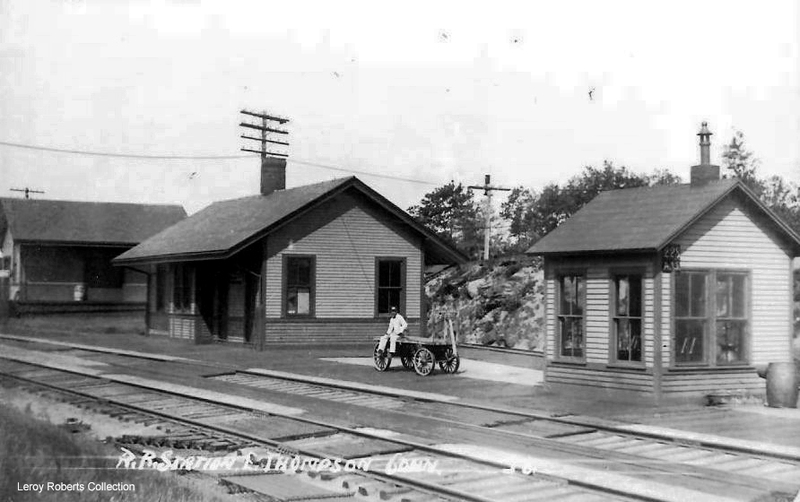 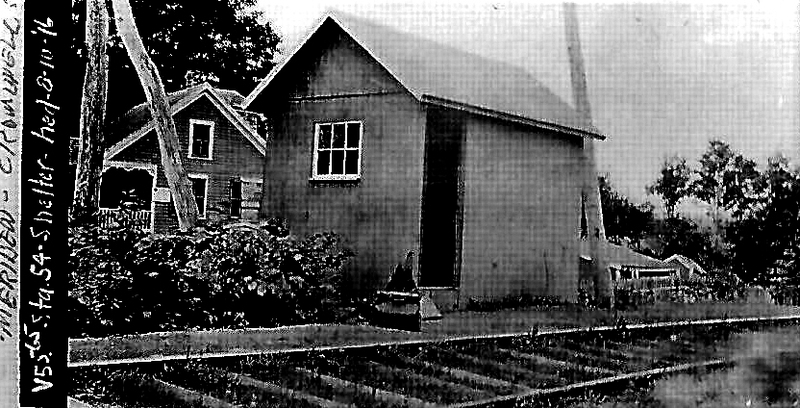 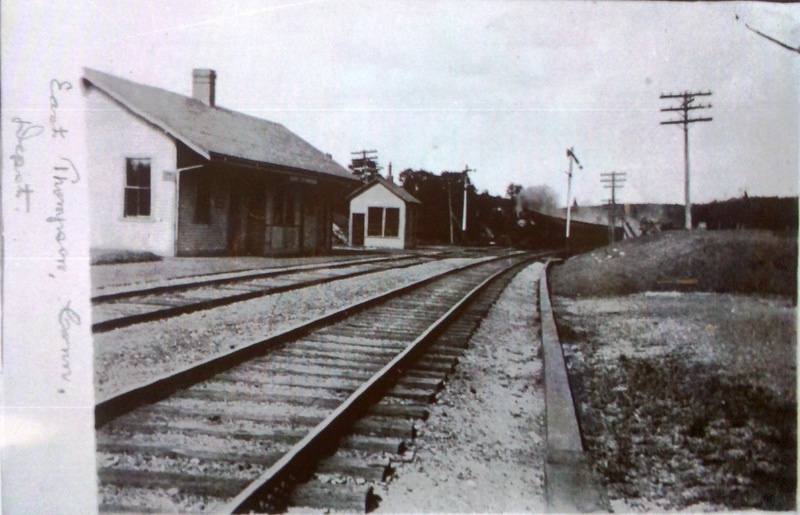 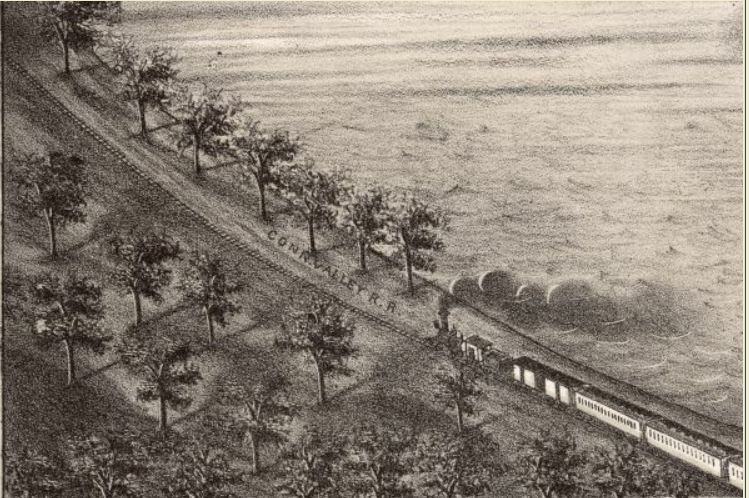 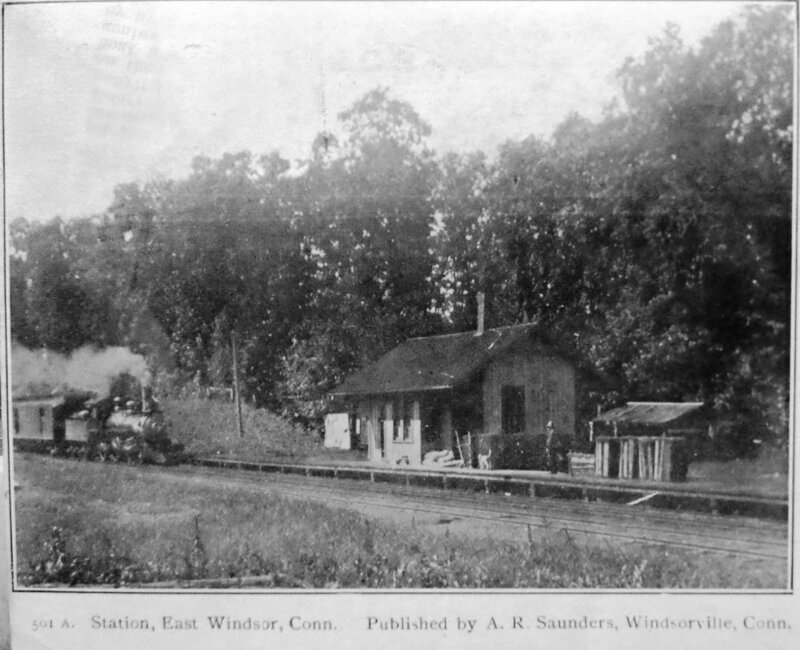 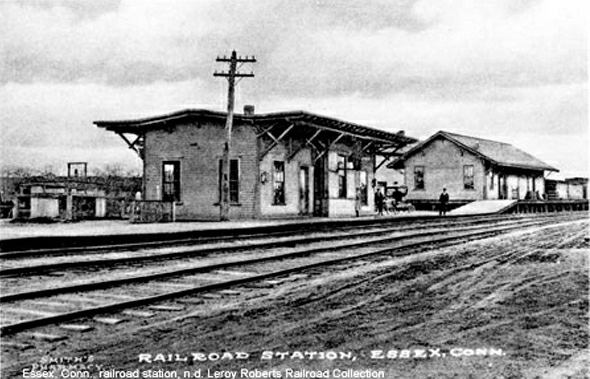 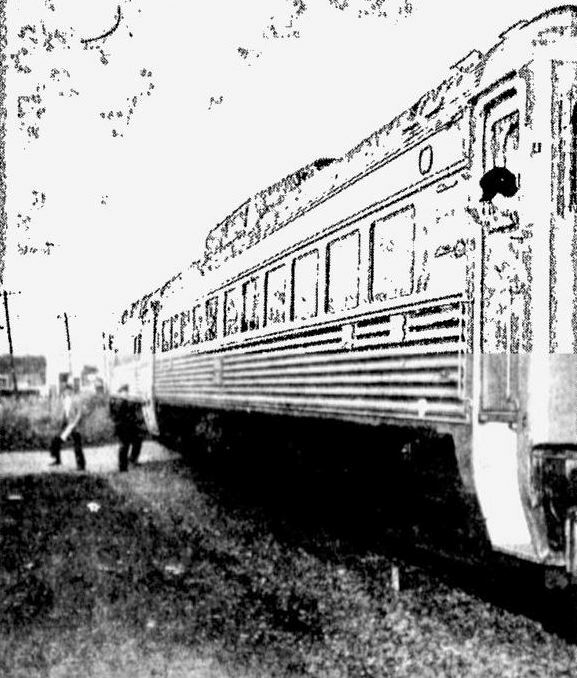 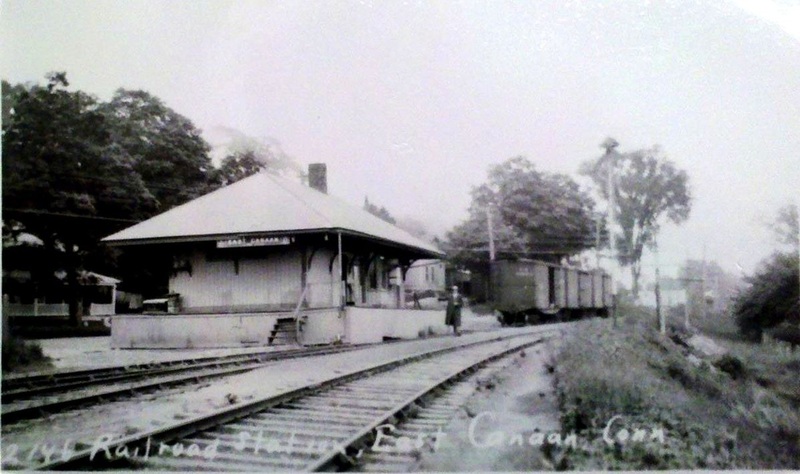 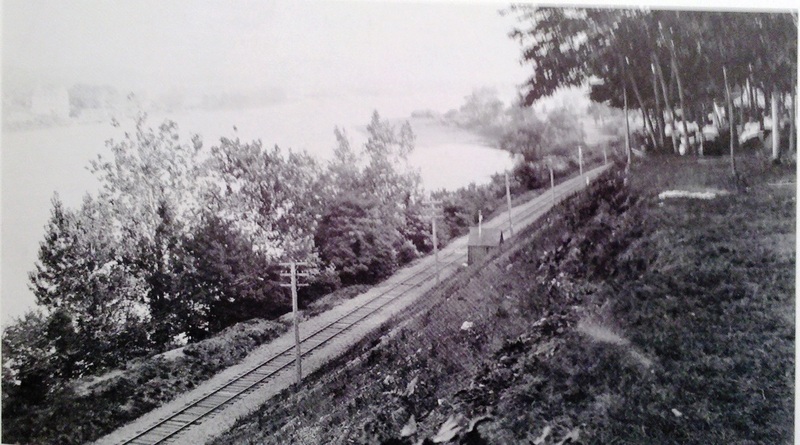 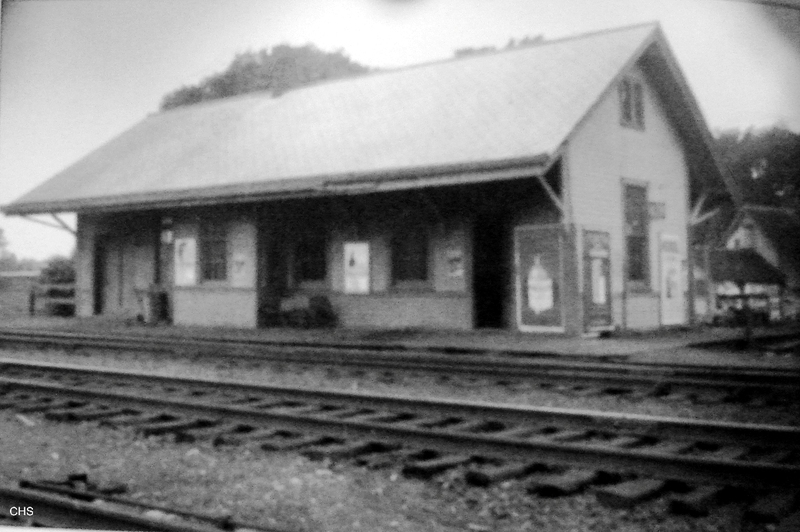 At some point after the 1939 photo of EAST NORWALK2 was taken, the station was removed and replaced by the small shelter seen in the distance on the eastbound side of the tracks, again in front of HCoA. 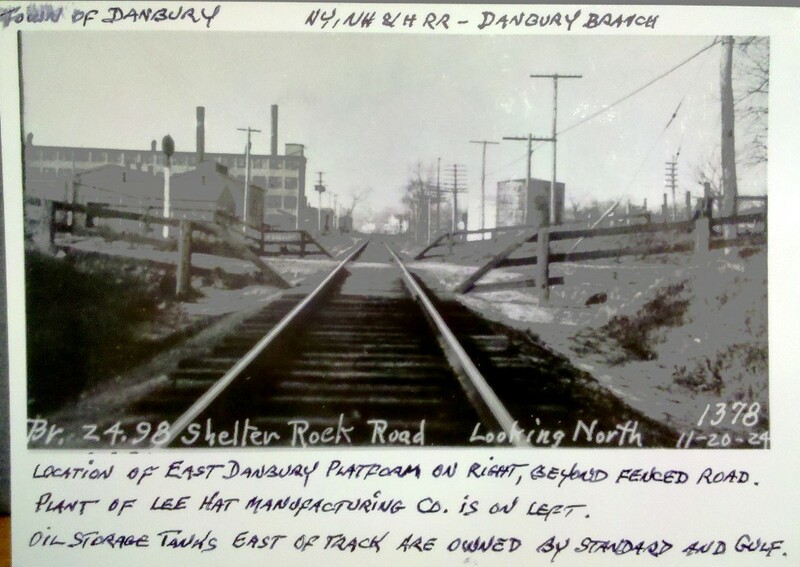 Older folks will remember the Factory Store in Norwalk. 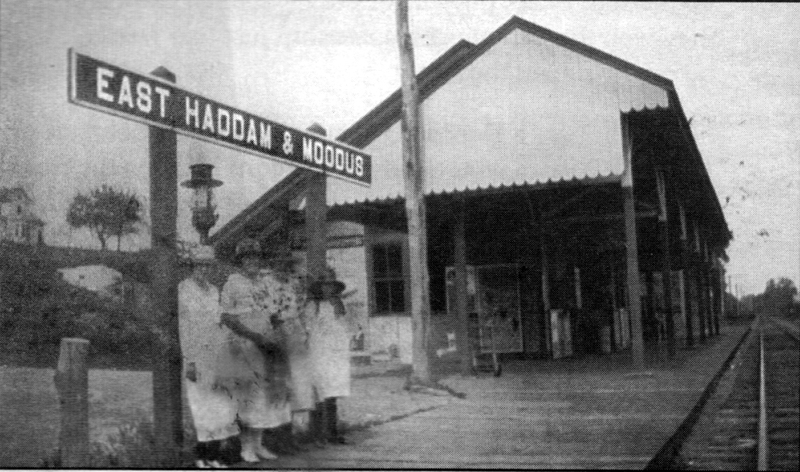 As one of the early discount retailers, the Hat Corporation of America's outlet store here offered 50% off its popular headgear products in the days when everyone still wore hats. 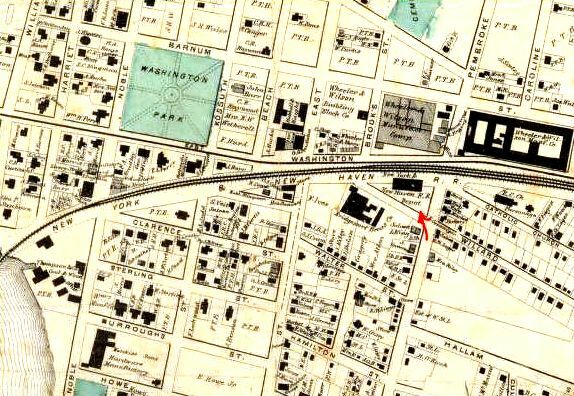 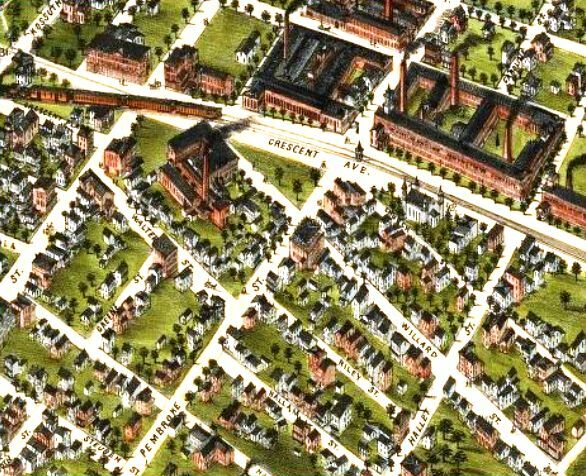 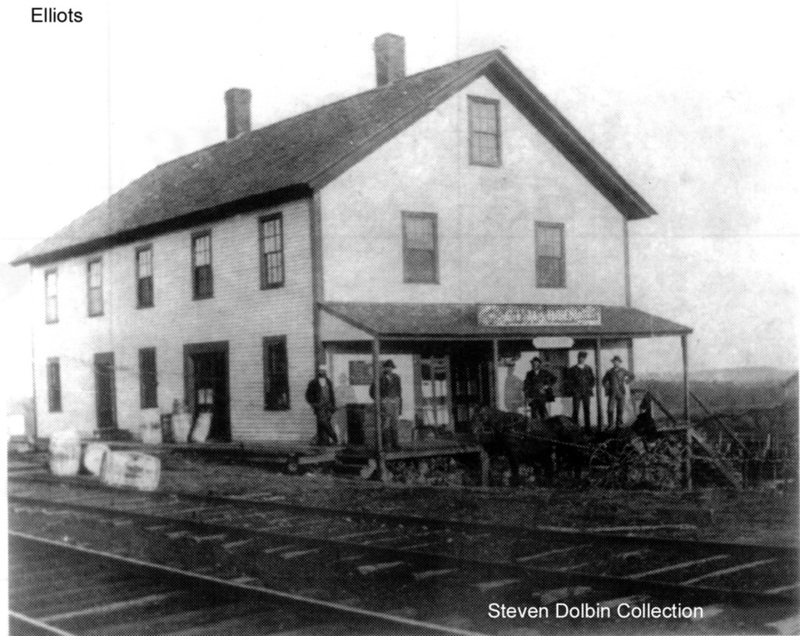 Broader ranges of merchandise followed and the tradition continues today with the Factory Outlets at Norwalk on the same property. 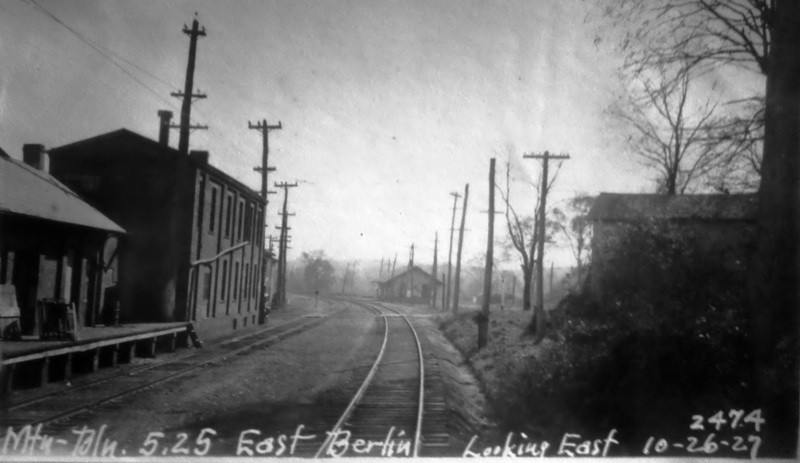 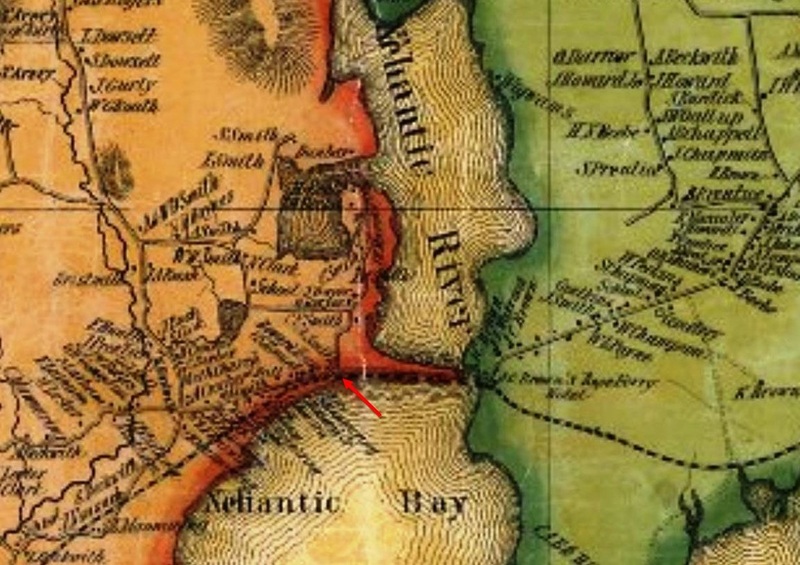 The photo at right looks eastward. 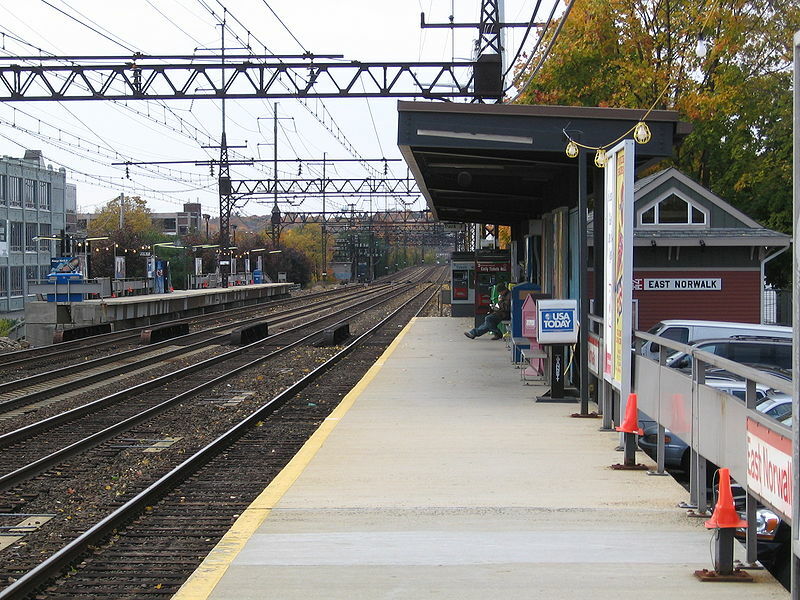 This is the platform and enclosure seen to the far left on the eastbound side. 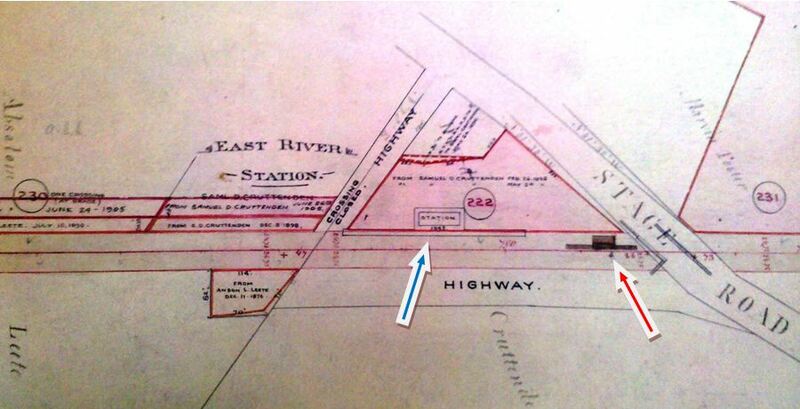 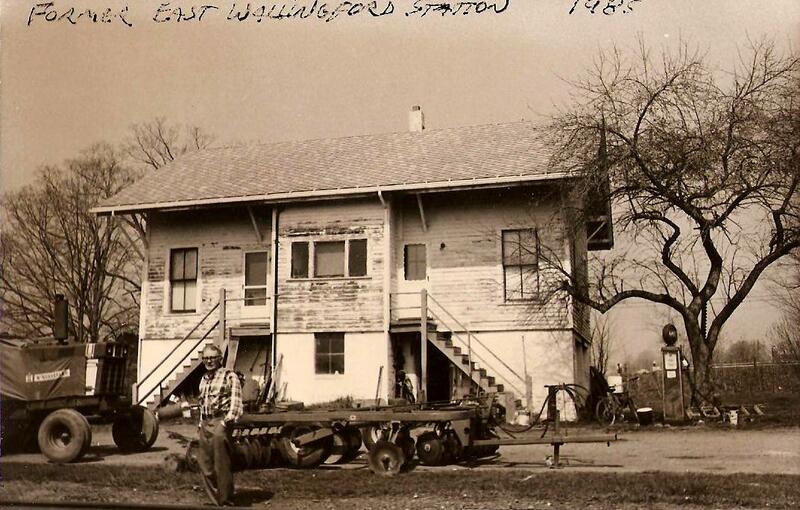 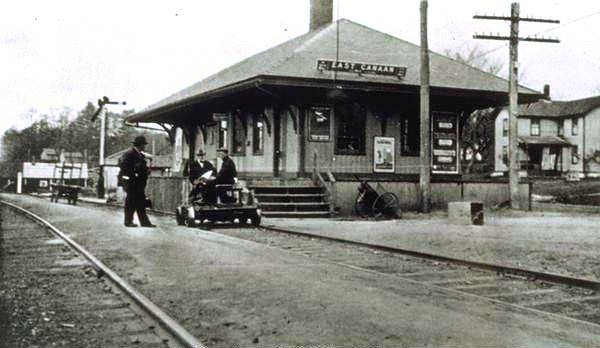 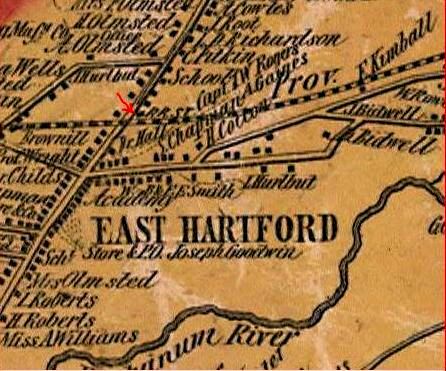 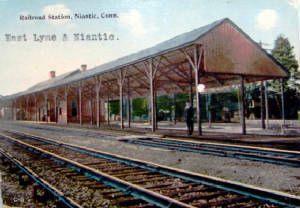 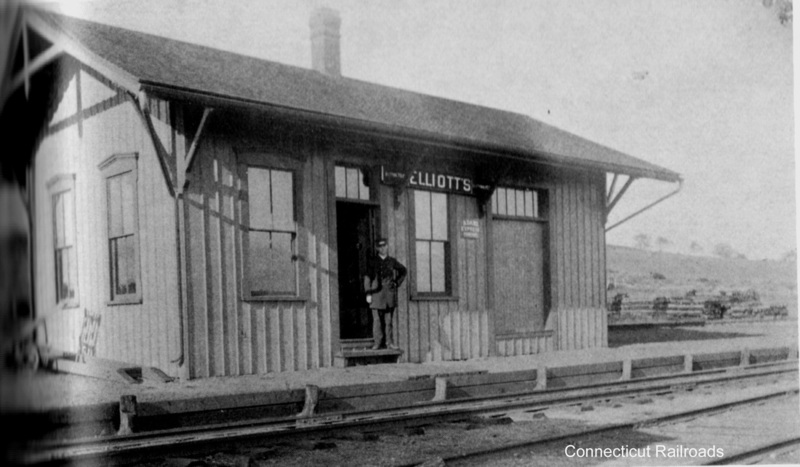 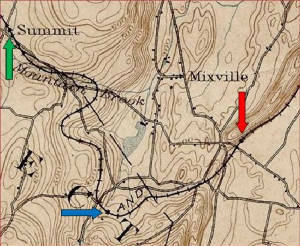 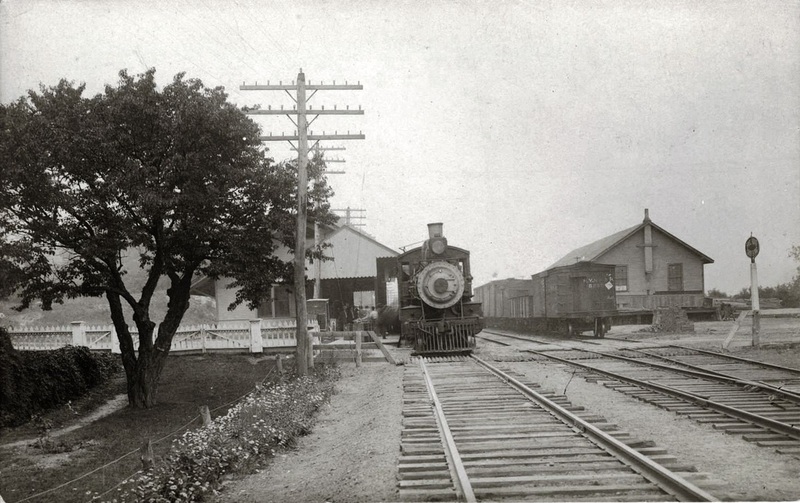 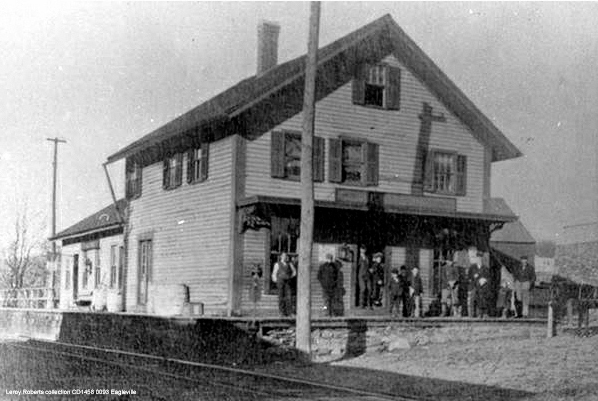 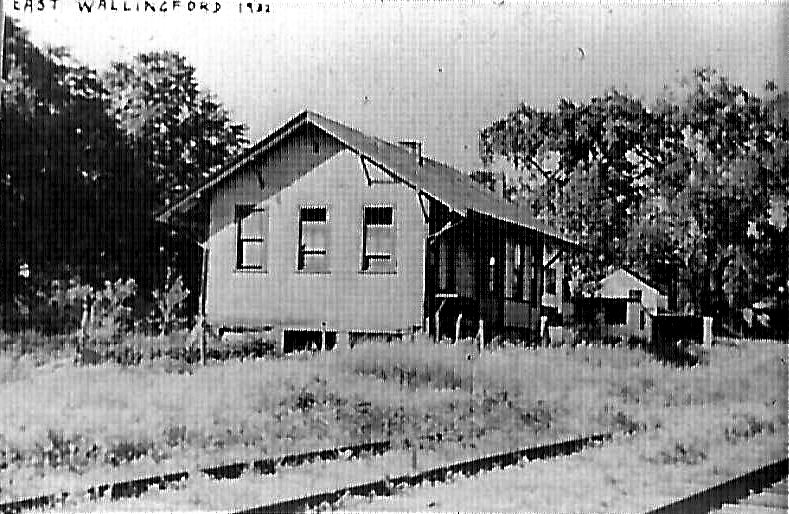 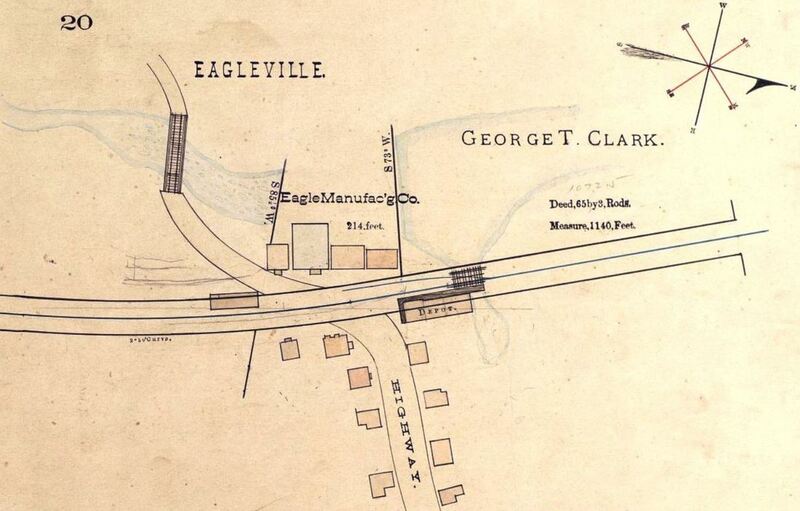 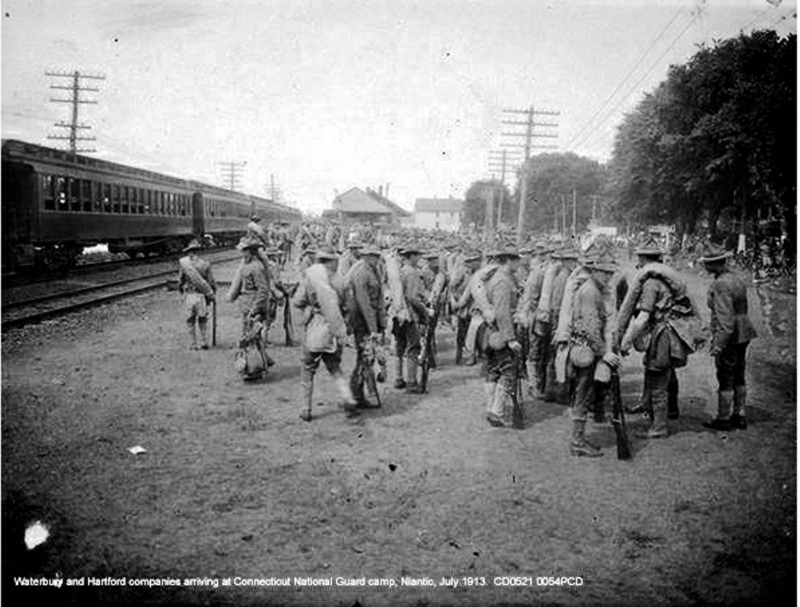 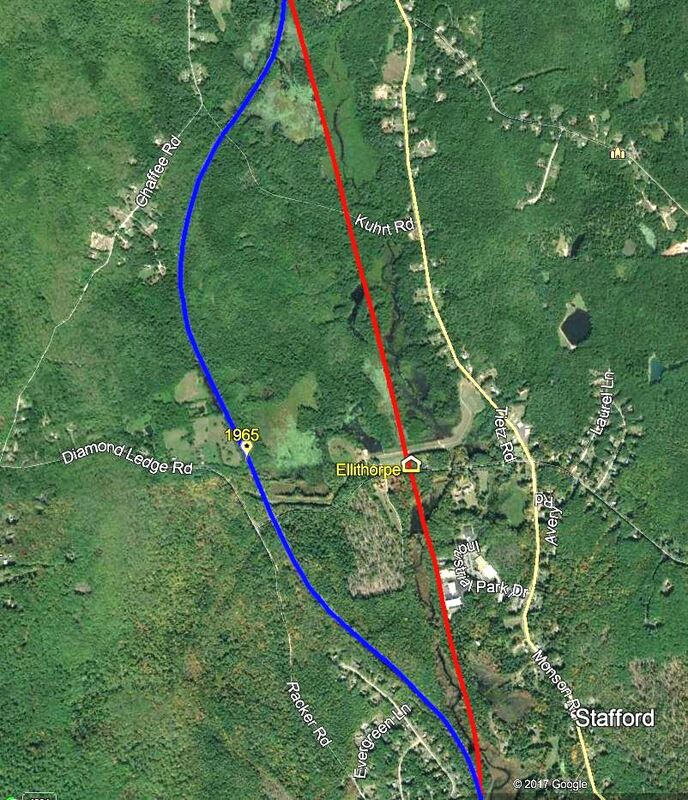 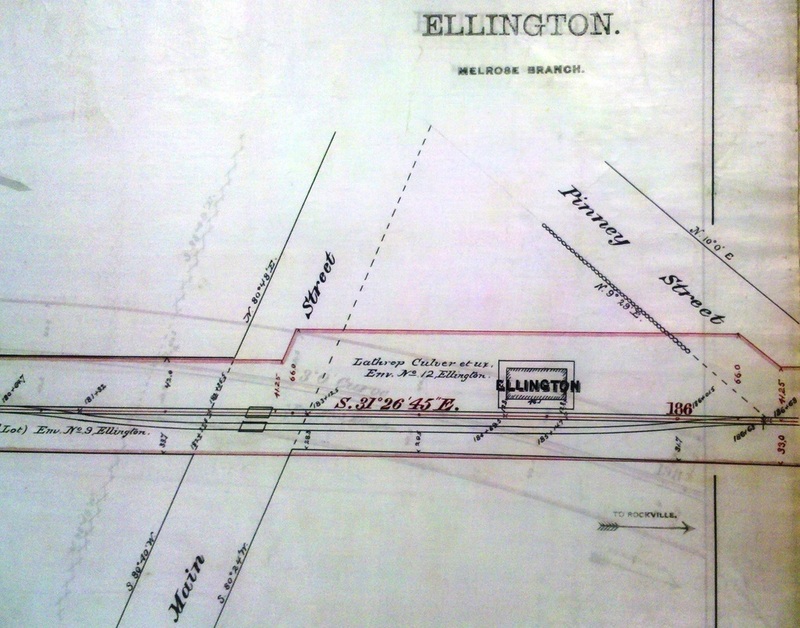 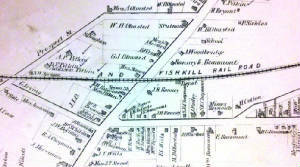 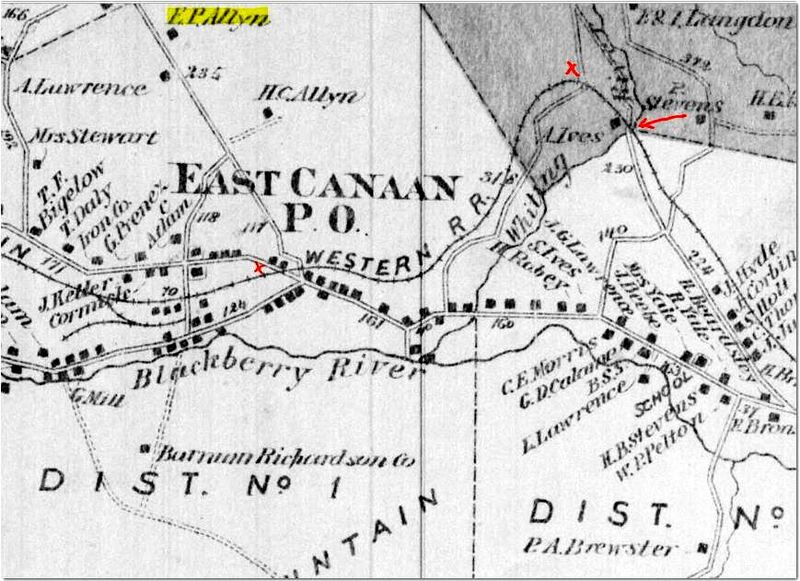 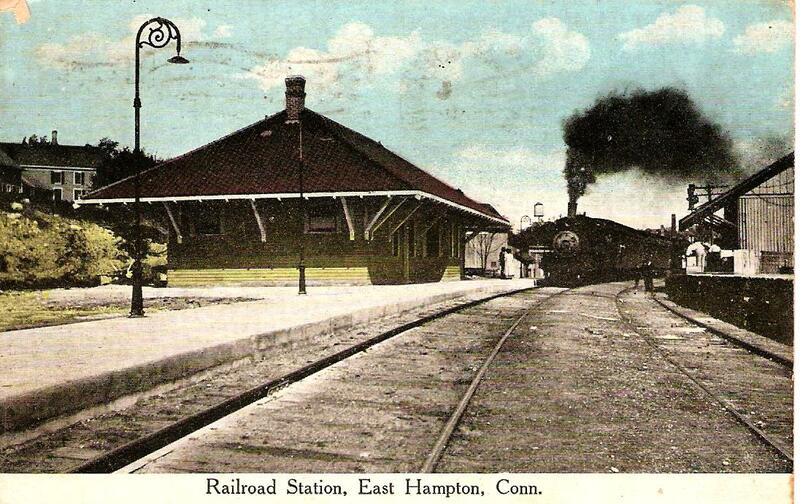 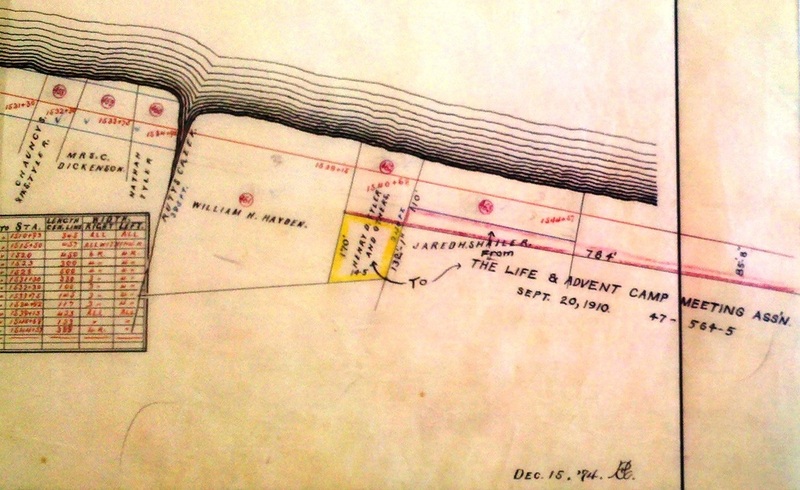 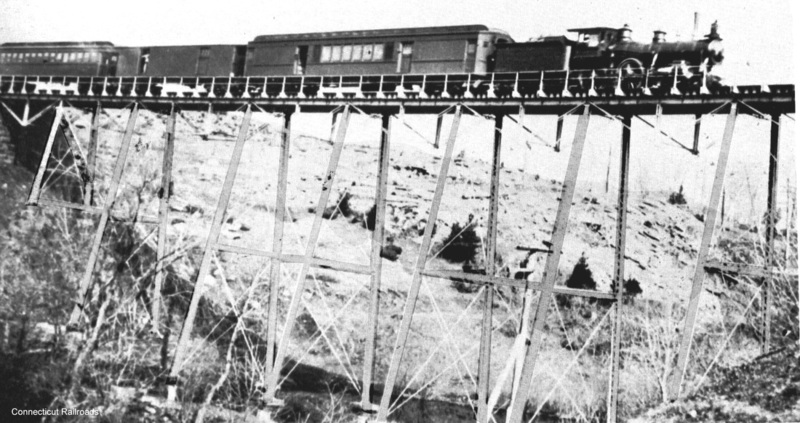 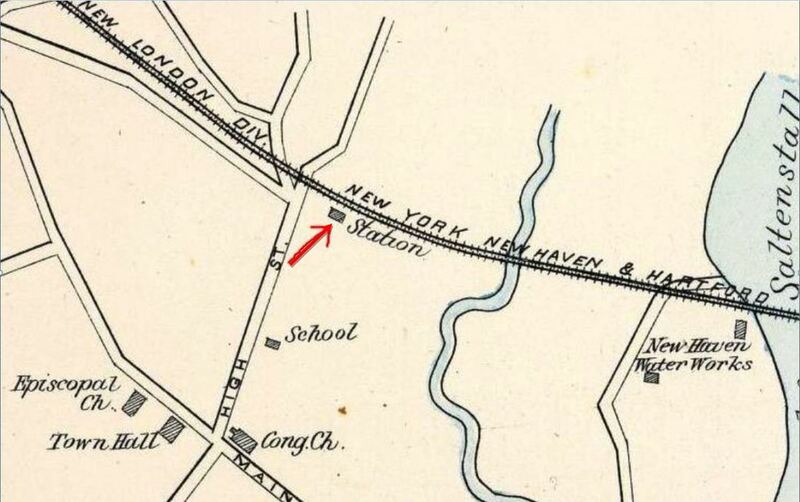 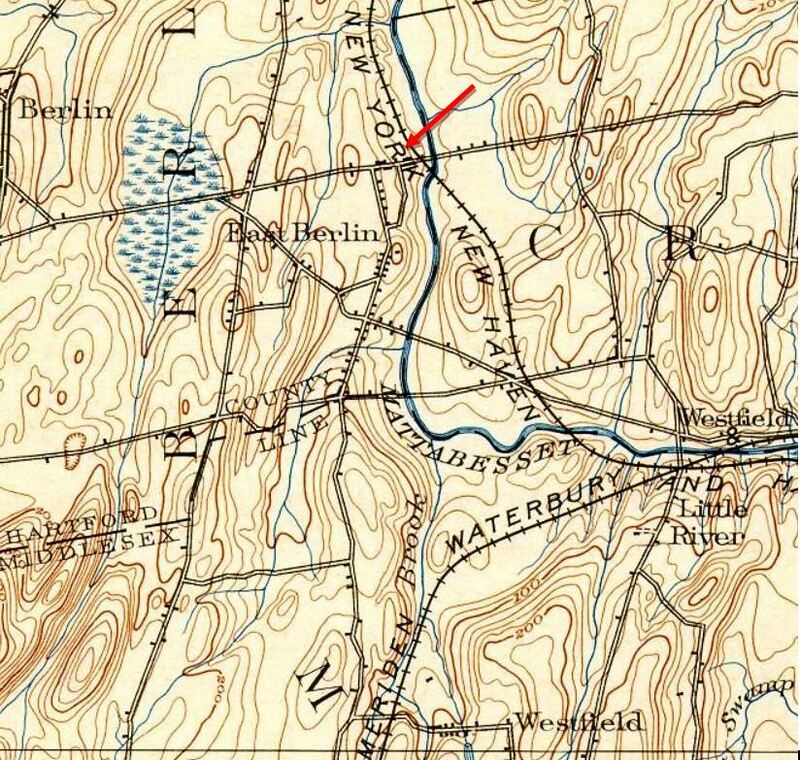 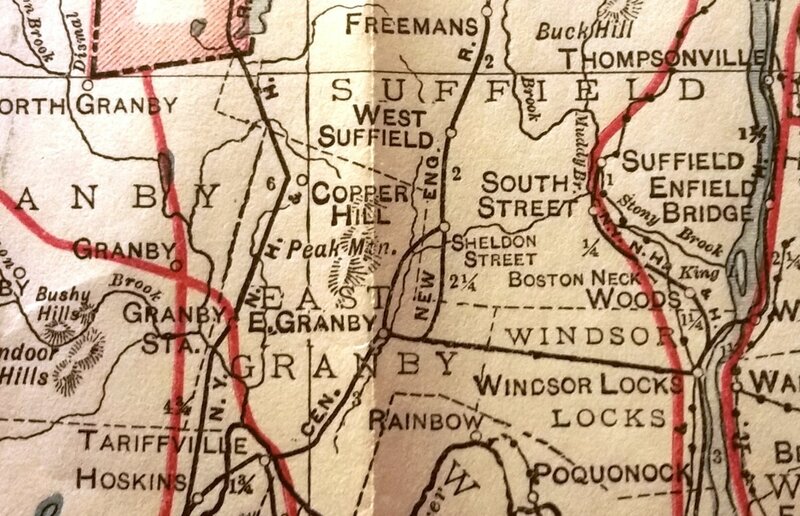 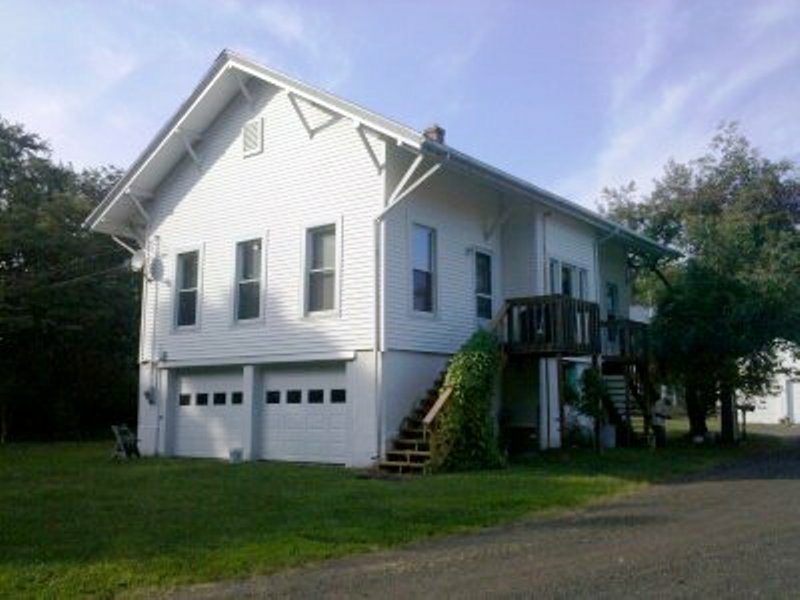 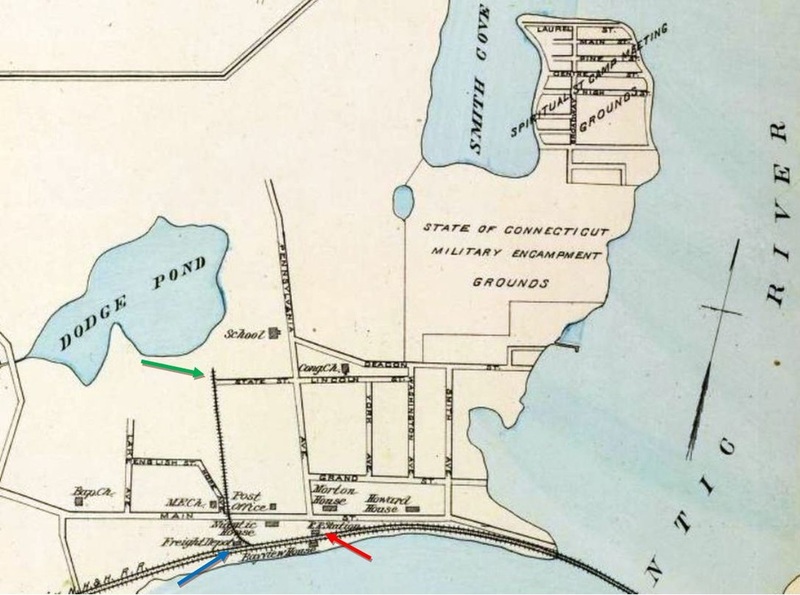 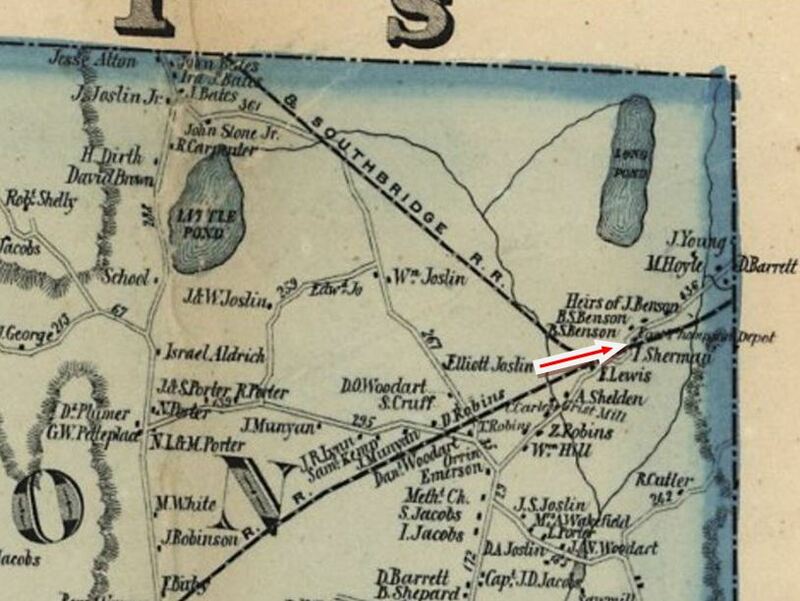 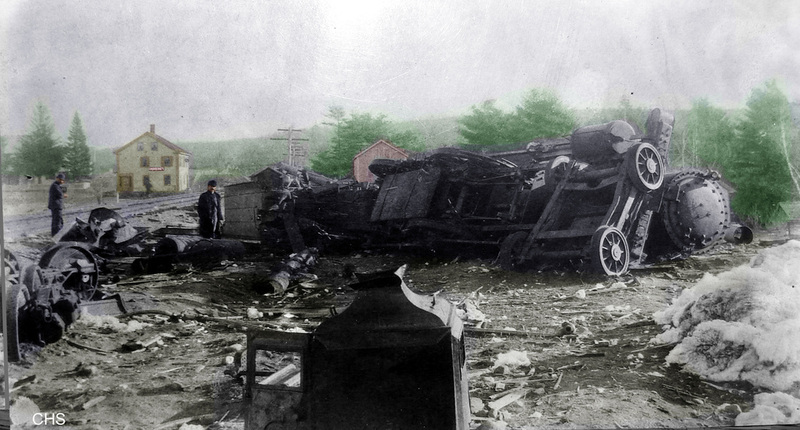 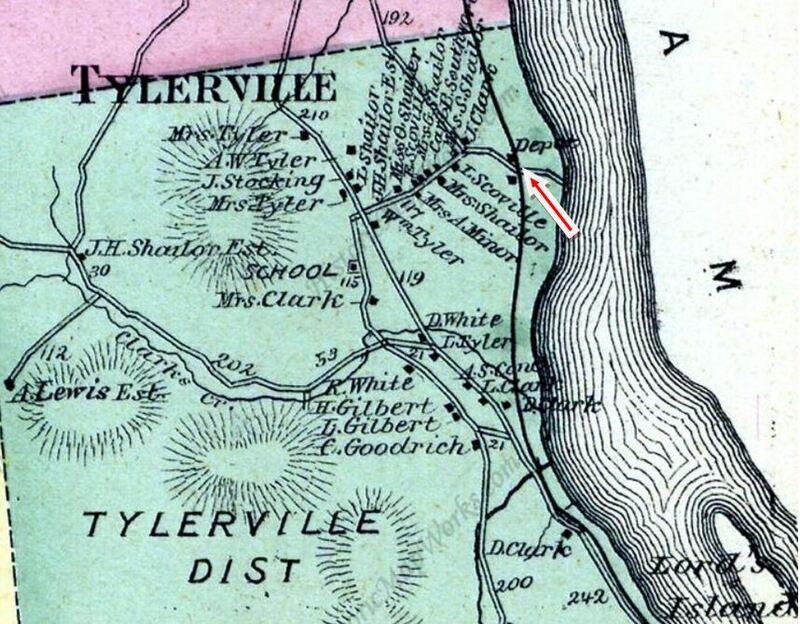 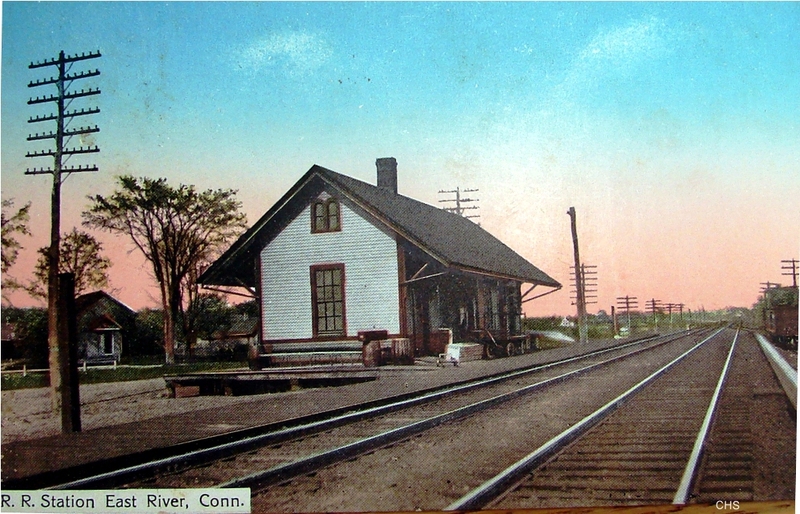 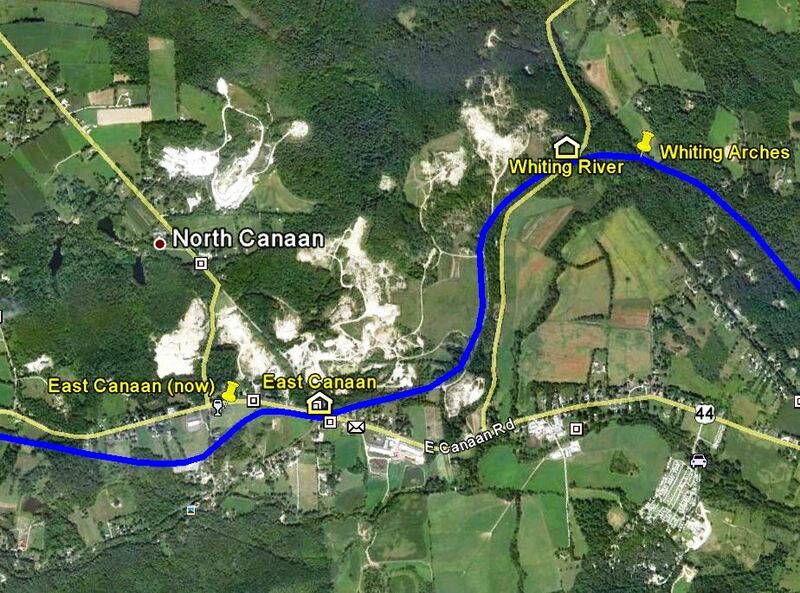 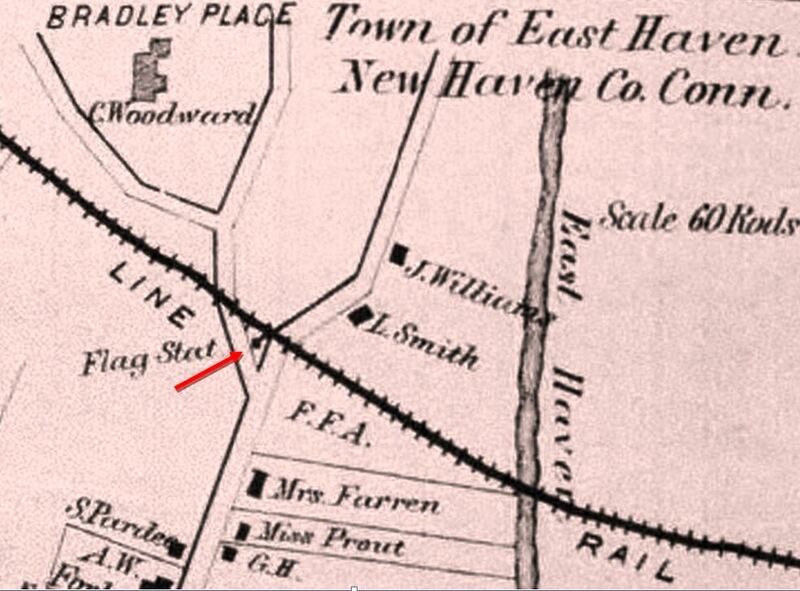 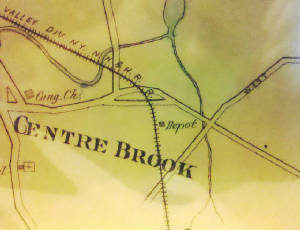 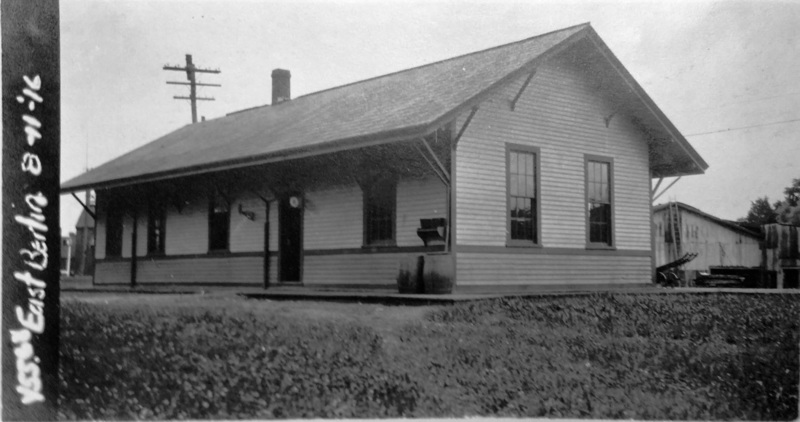 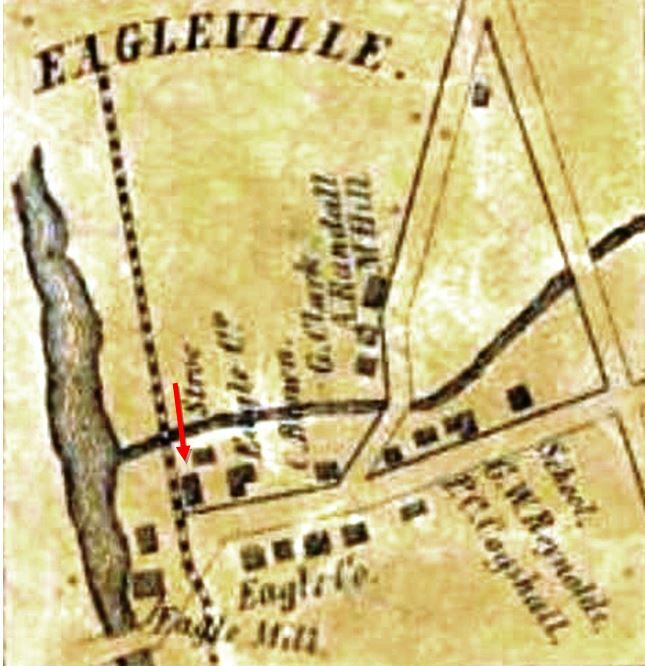 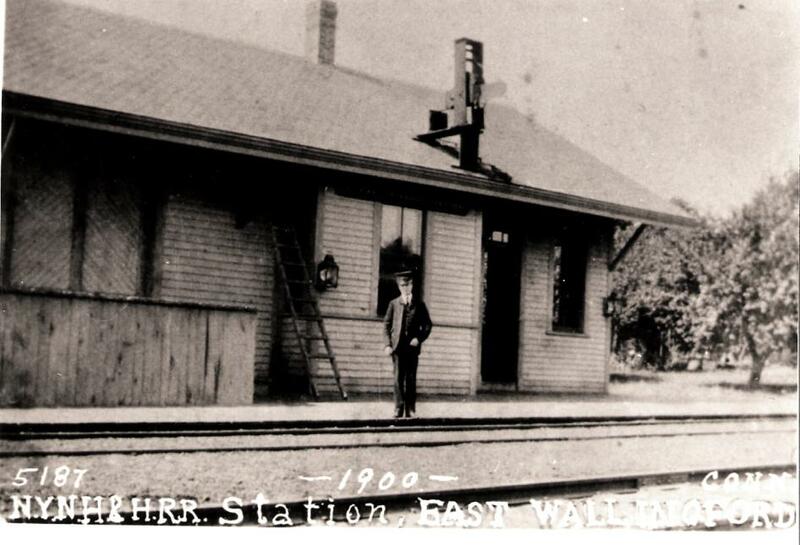 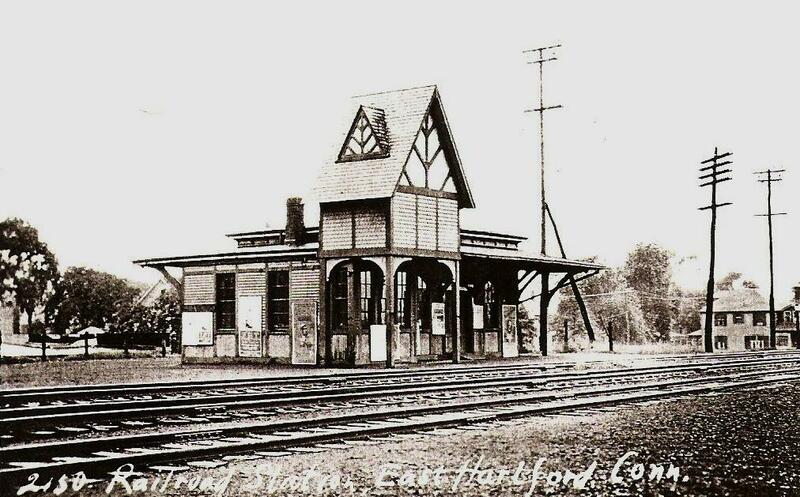 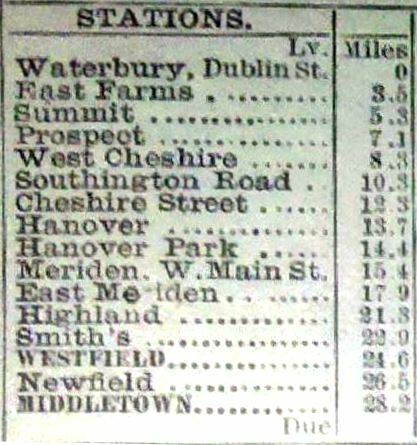 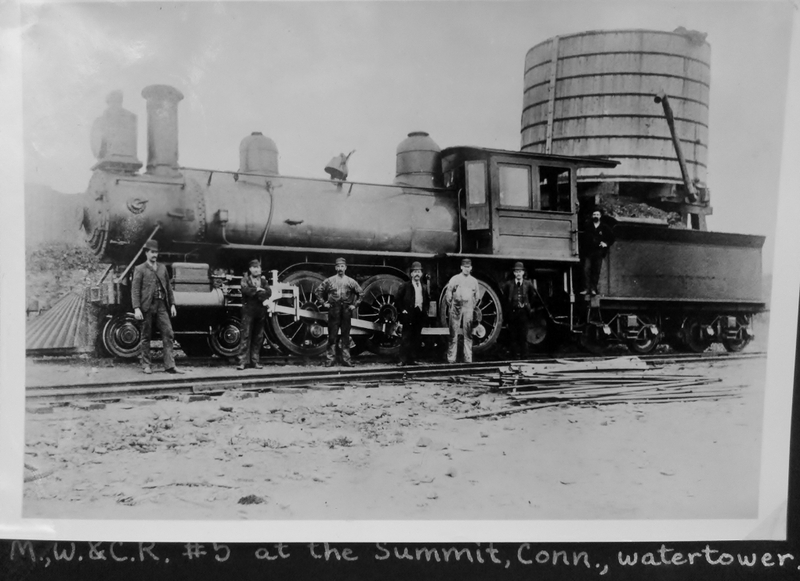 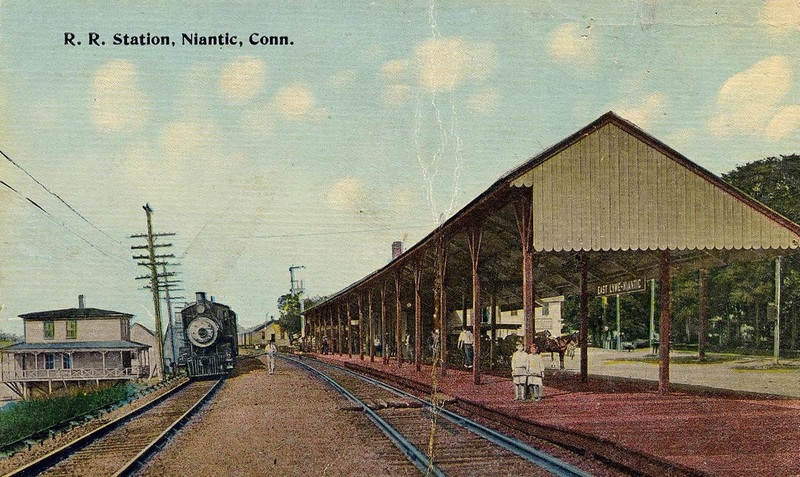 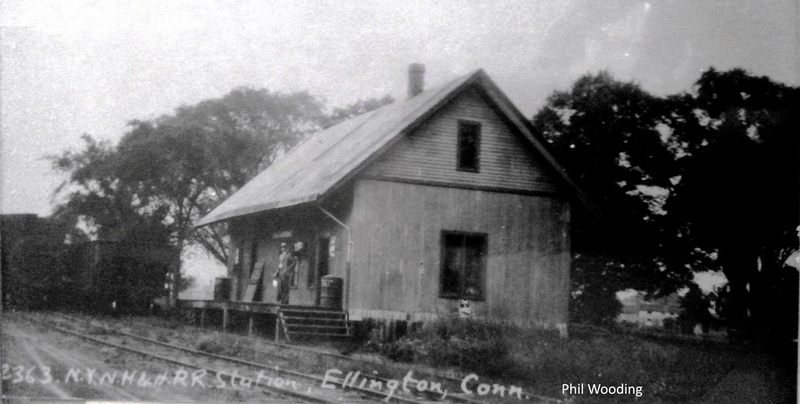 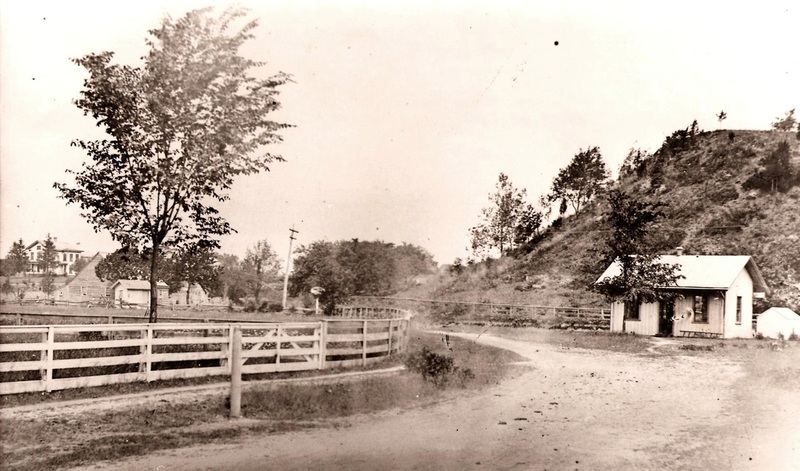 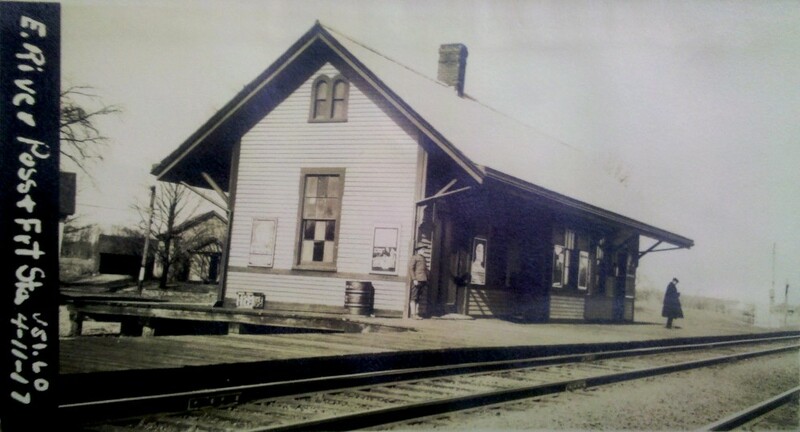 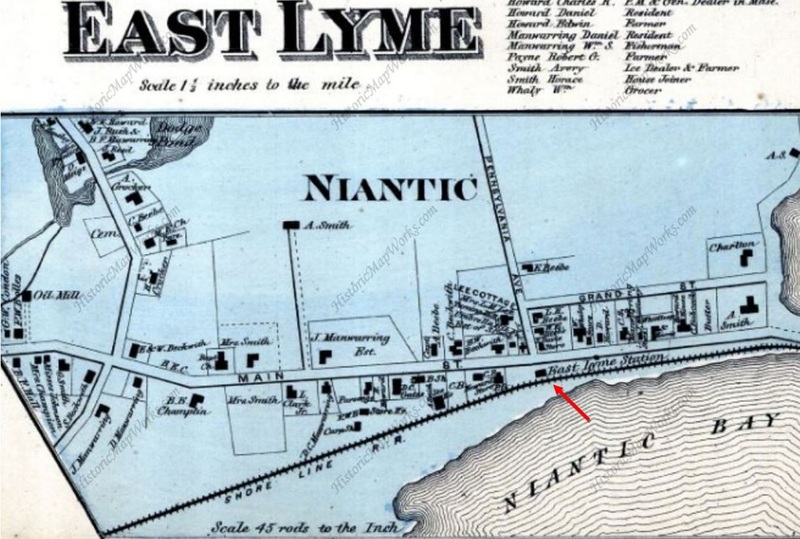 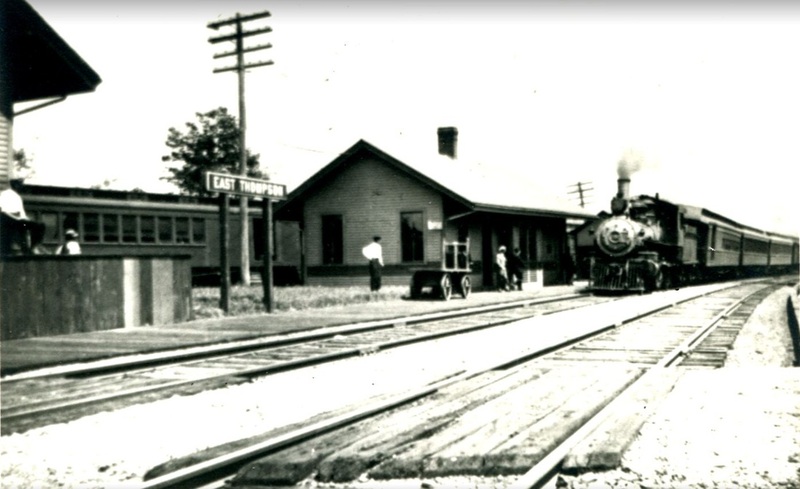 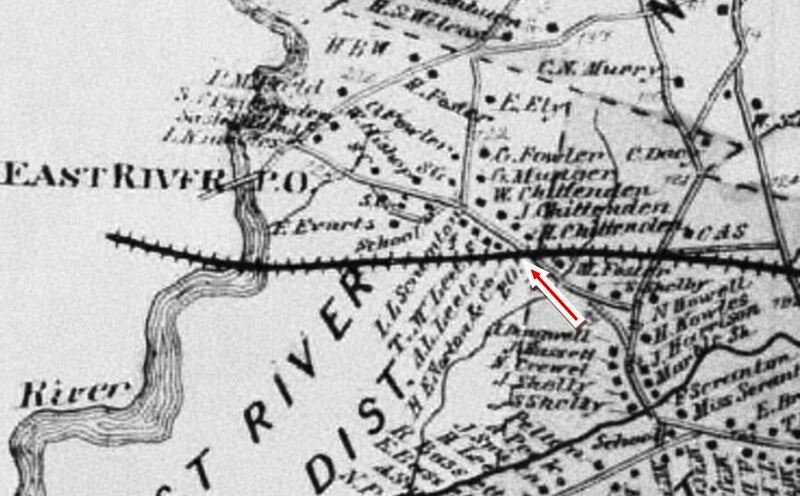 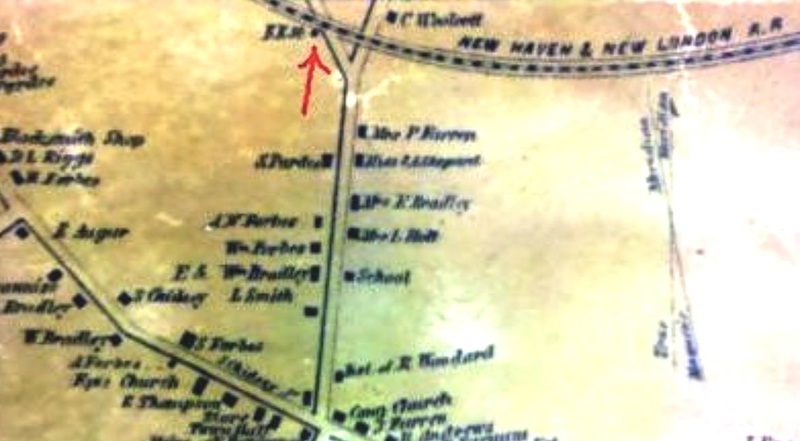 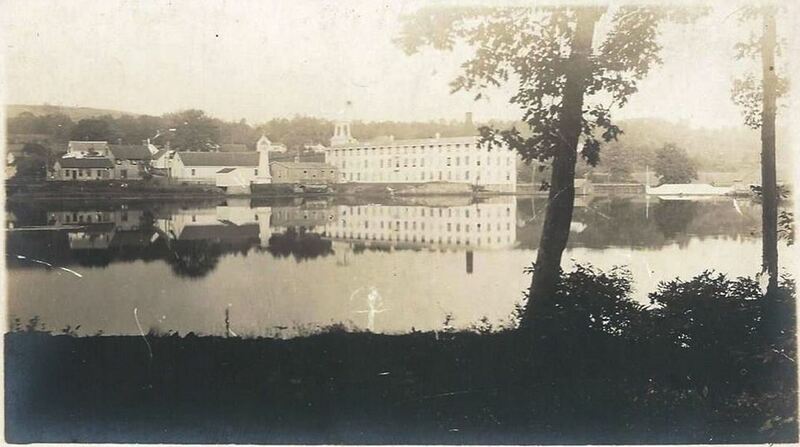 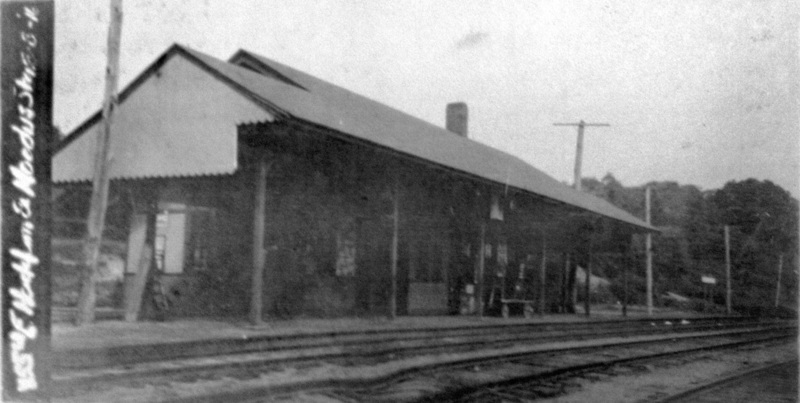 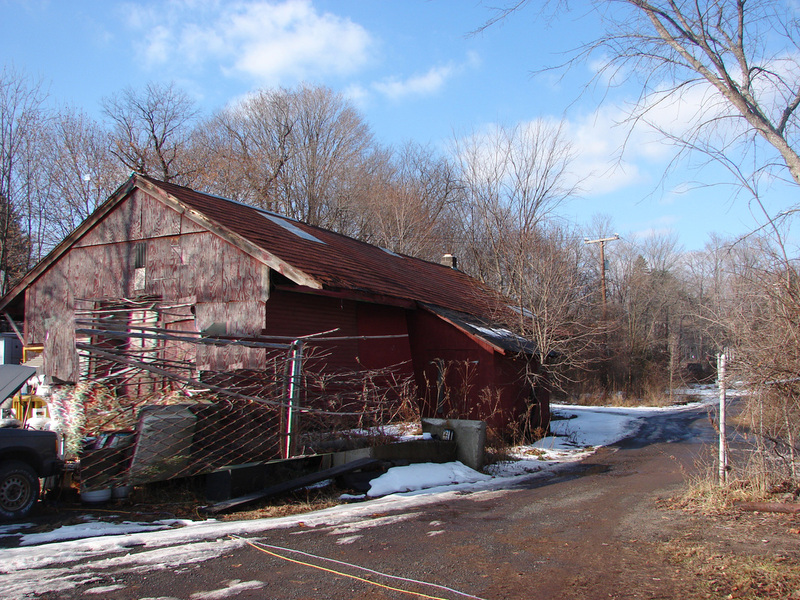 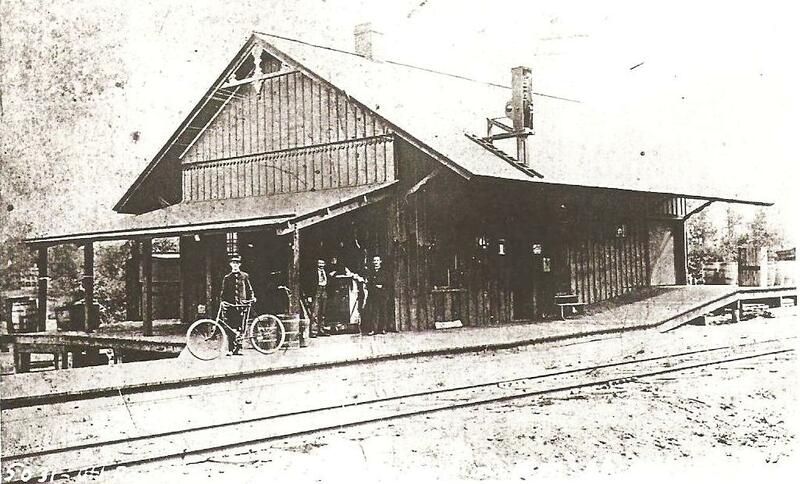 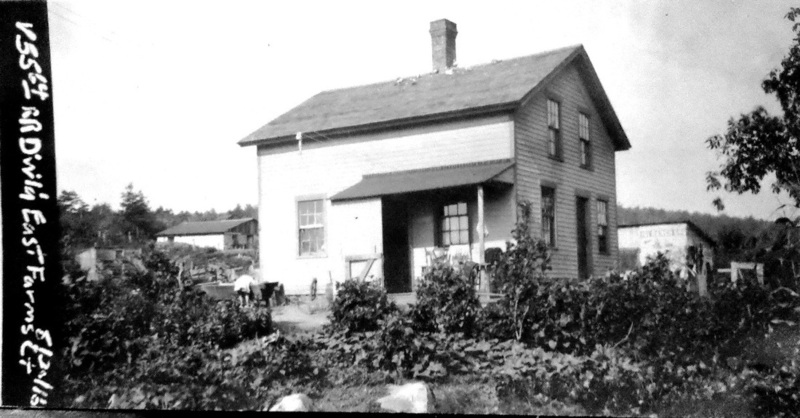 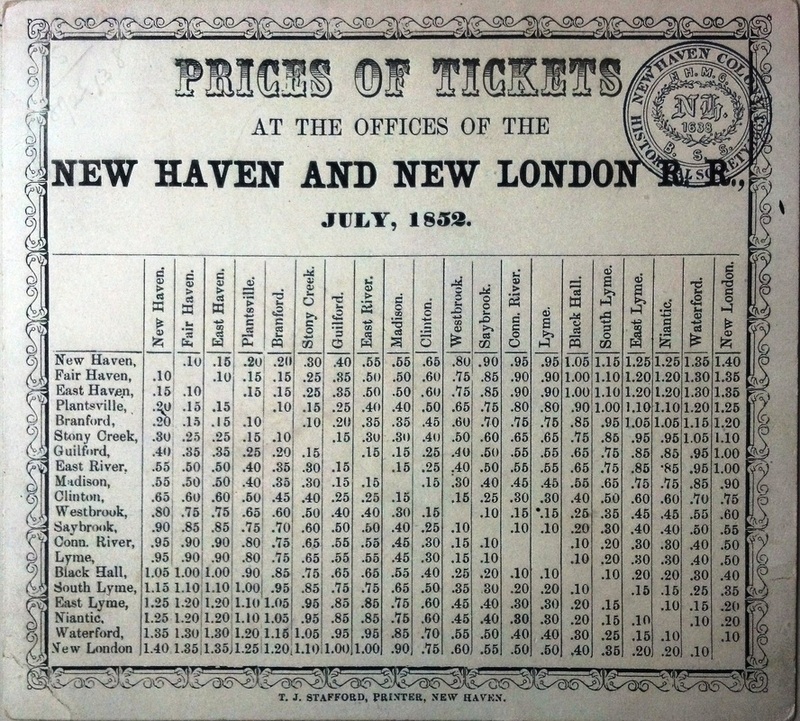 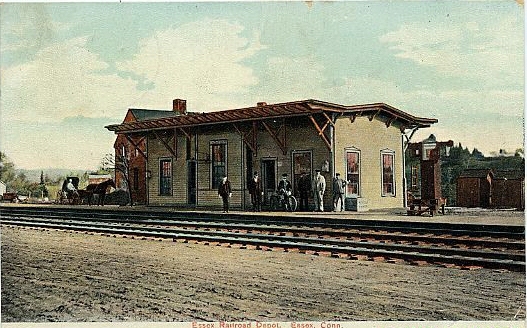 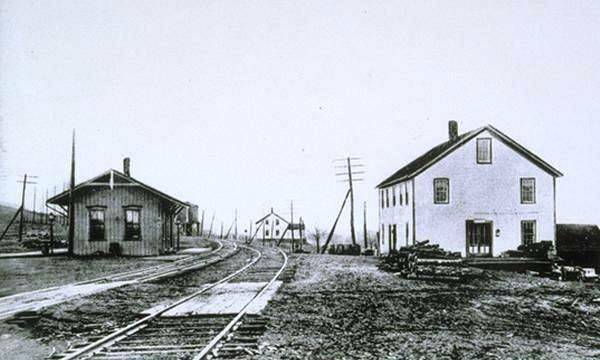 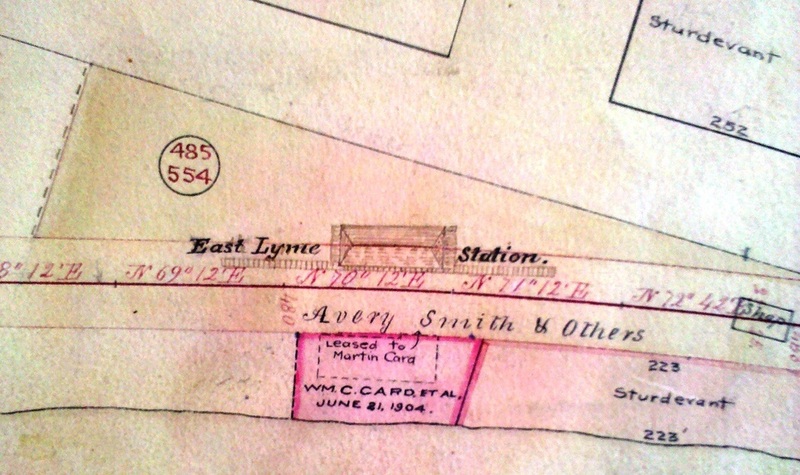 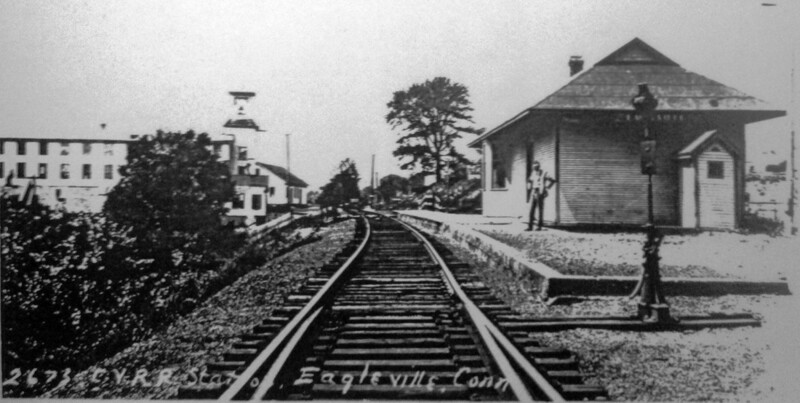 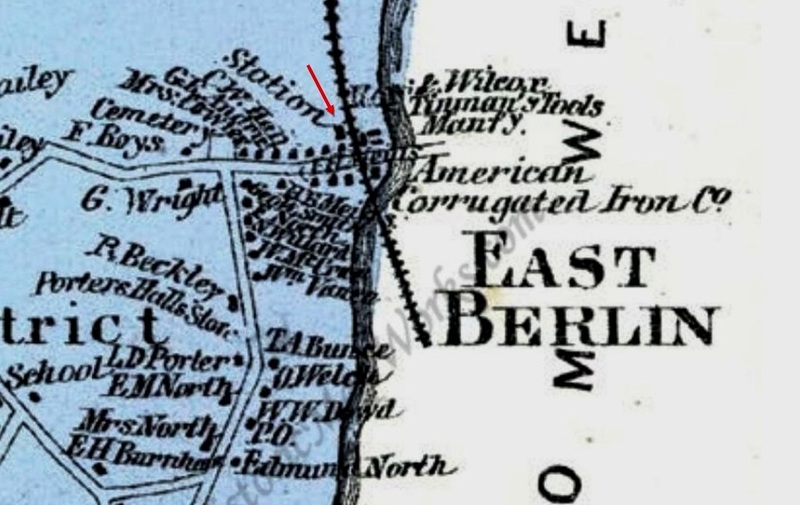 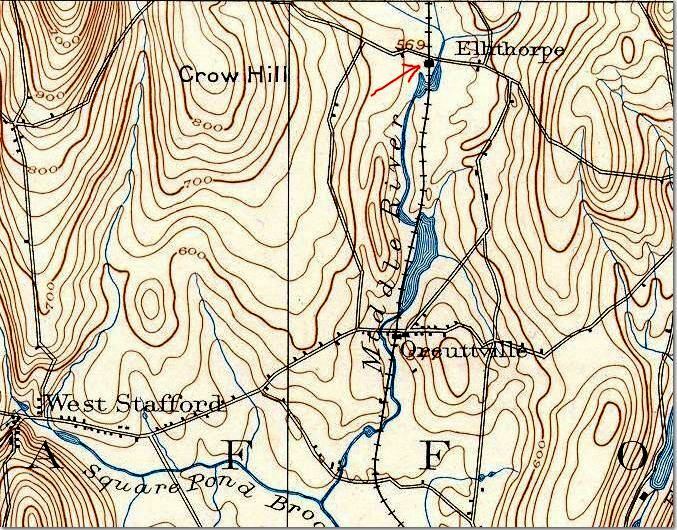 This stop in the town of Enfield was established in 1844 when the H&NH opened its line from Hartford to Springfield. 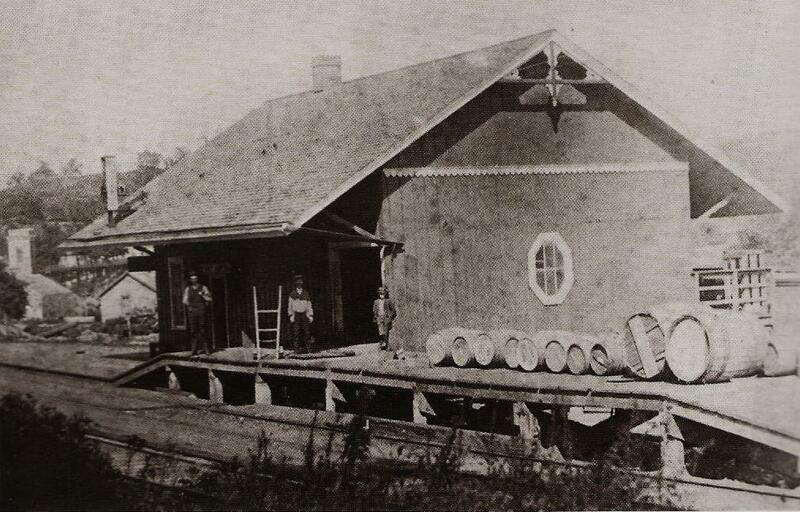 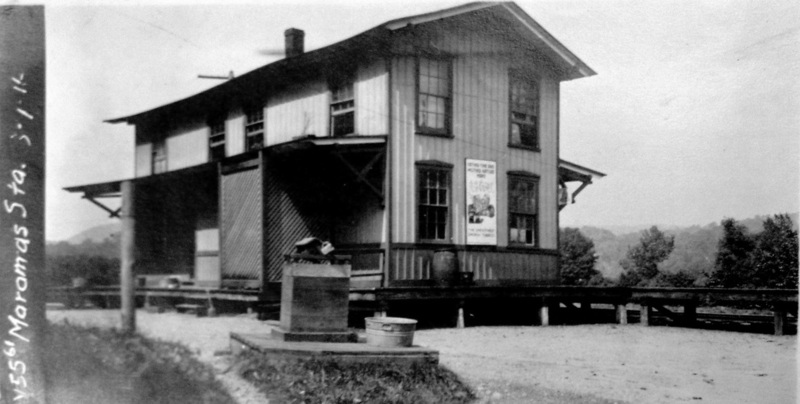 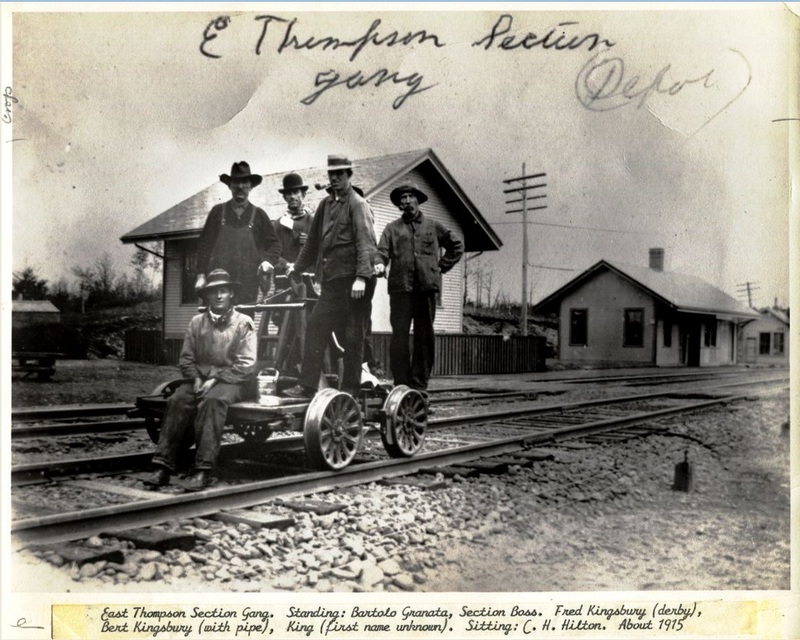 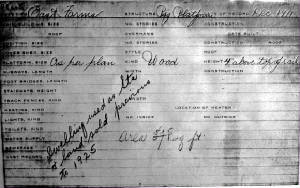 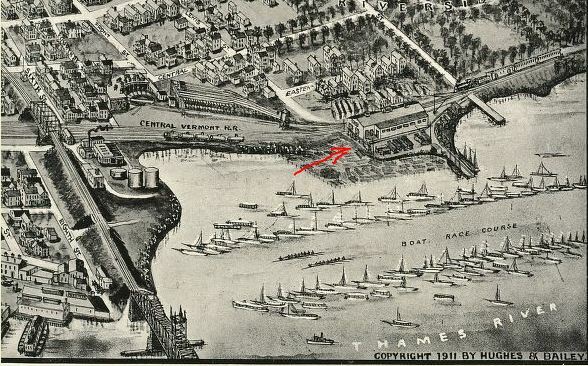 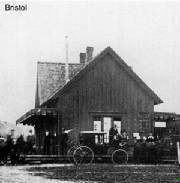 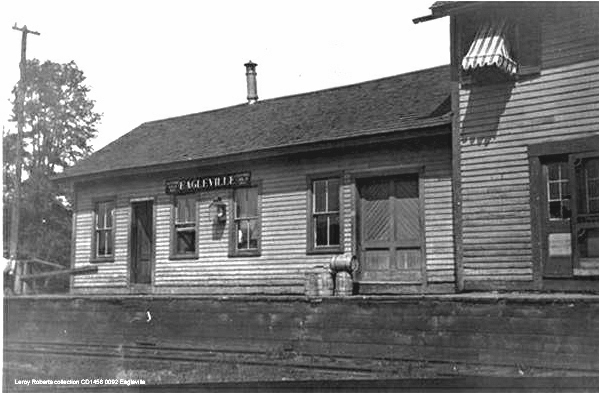 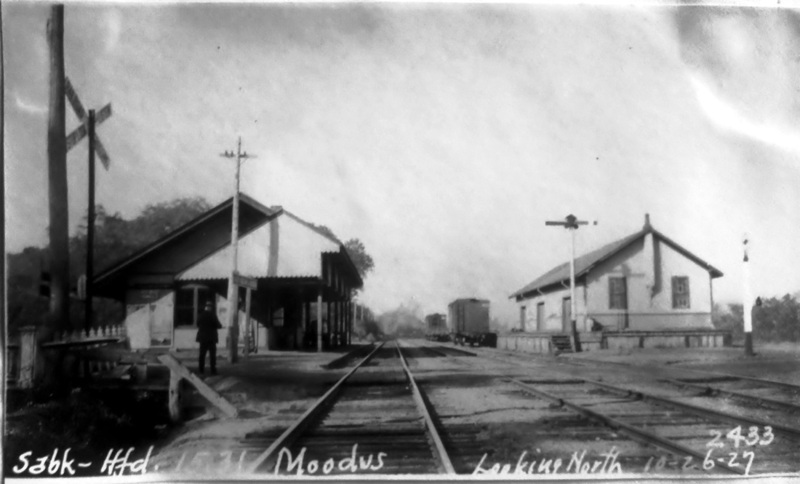 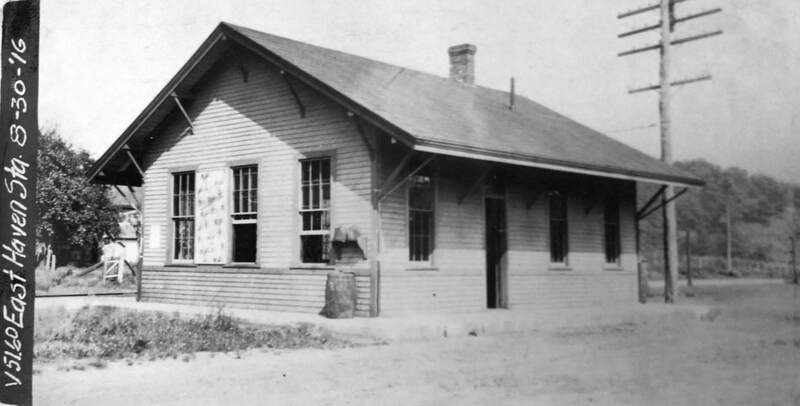 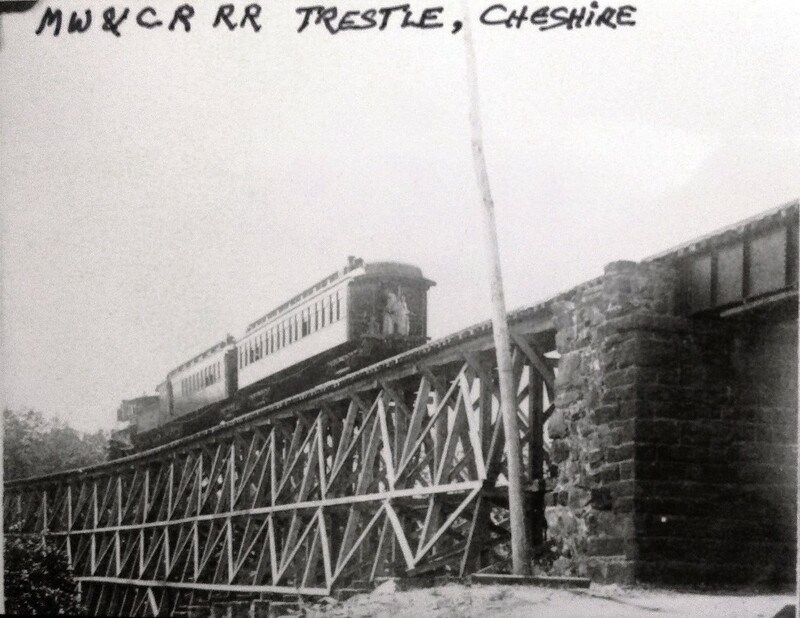 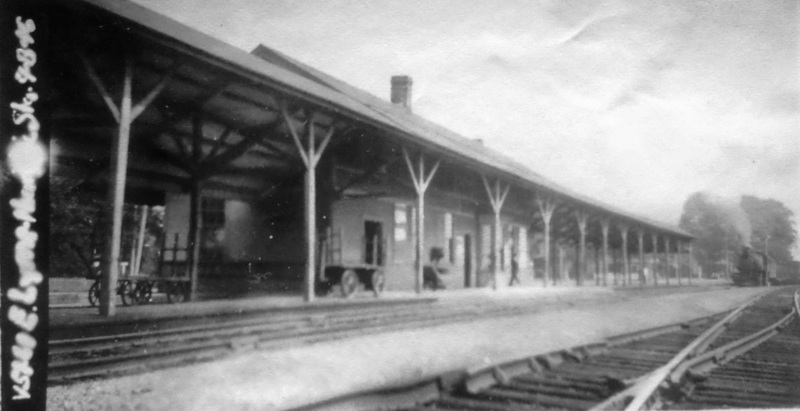 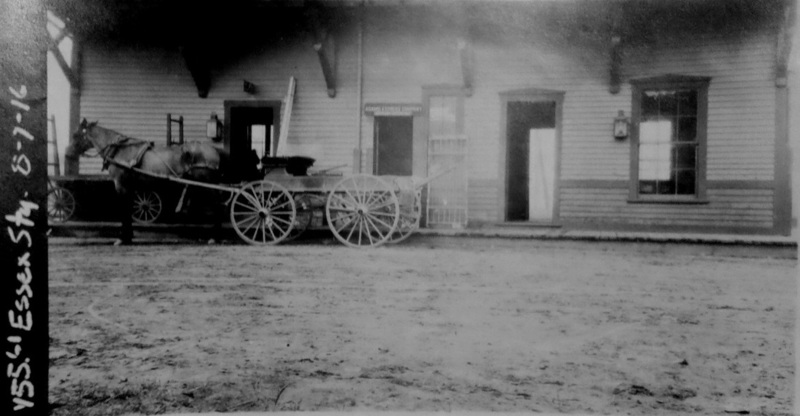 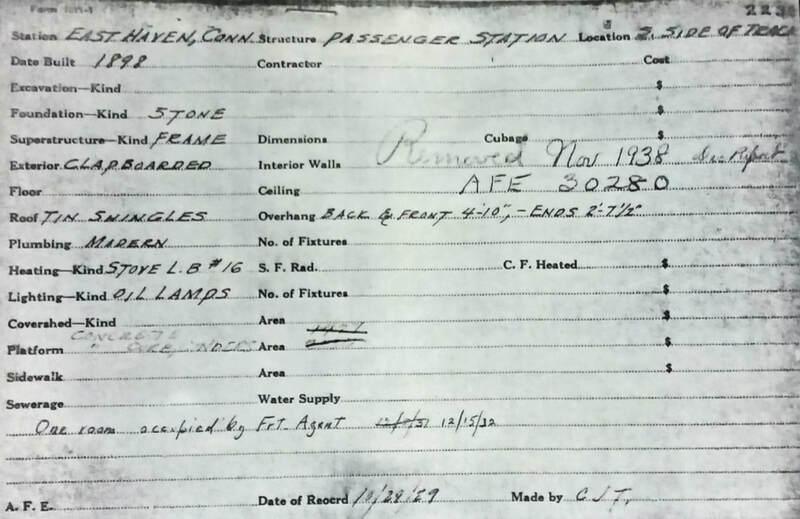 Unless the freight house in the next entry was the first passenger station here, we have no photo.